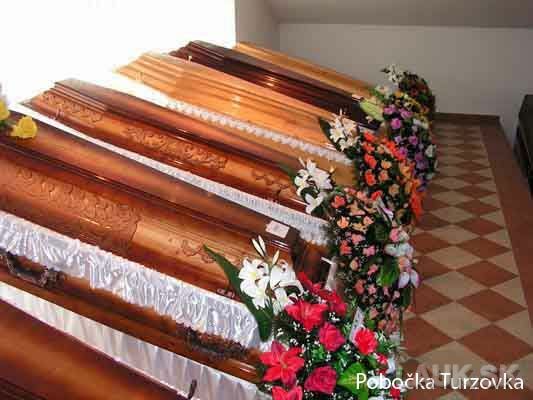 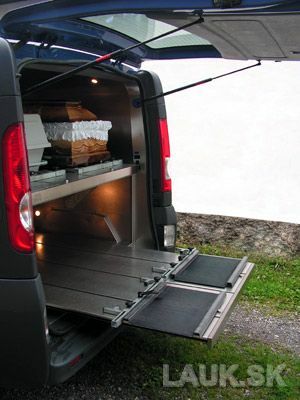 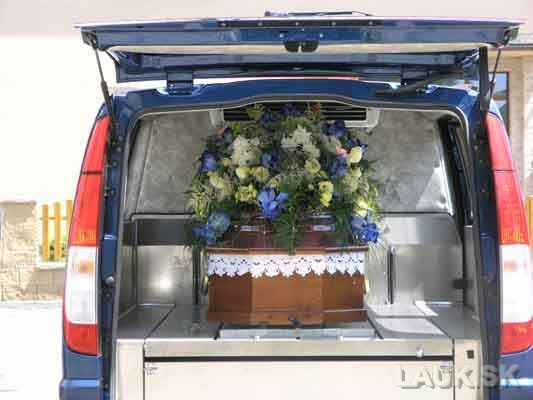 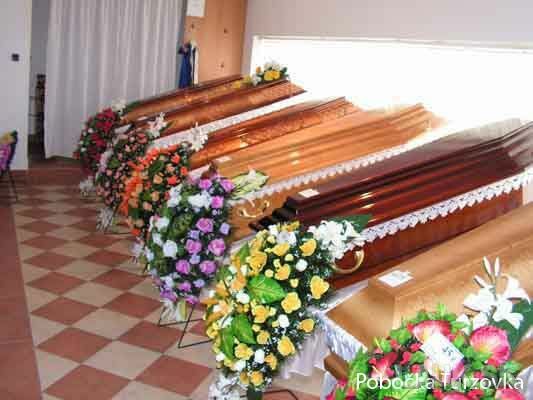 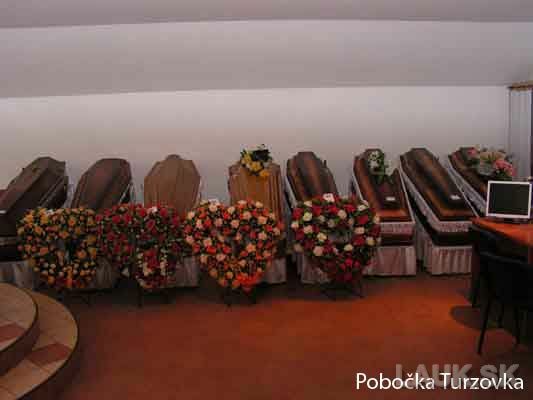 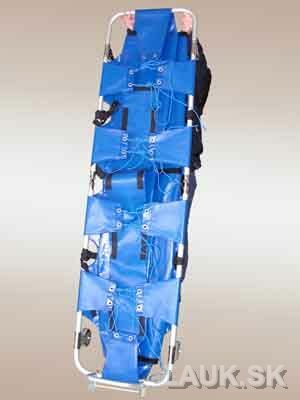 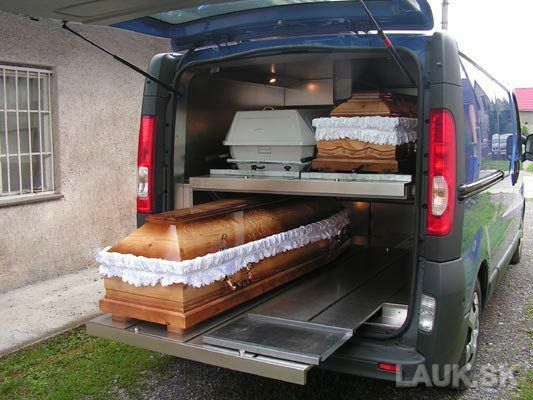 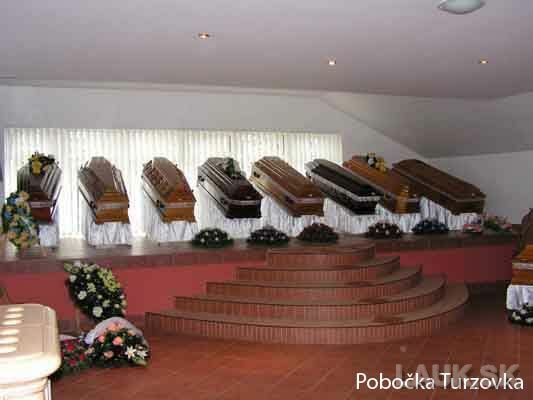 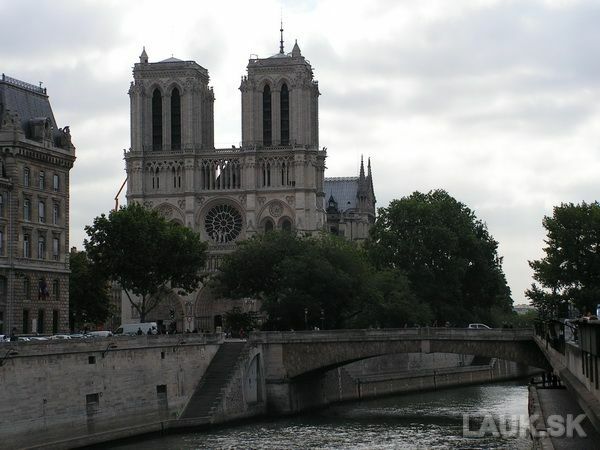 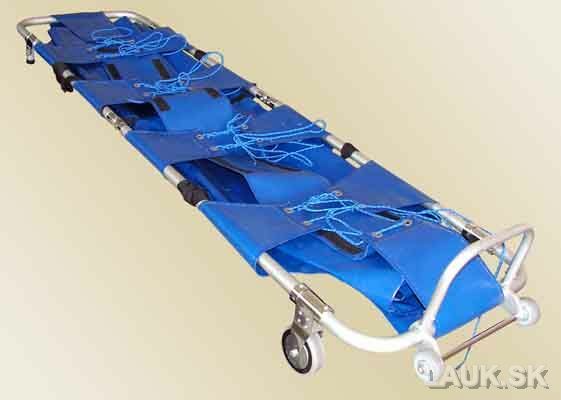 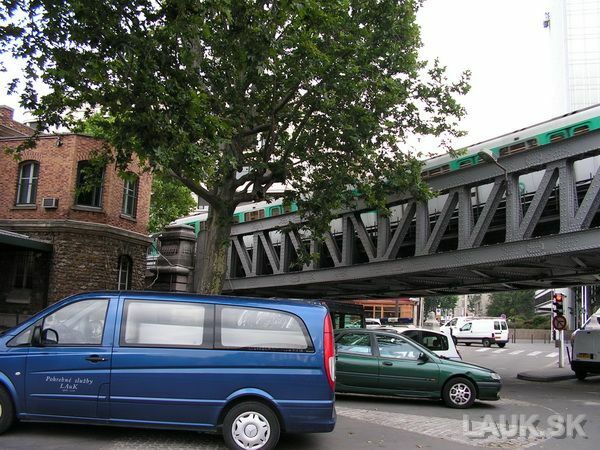 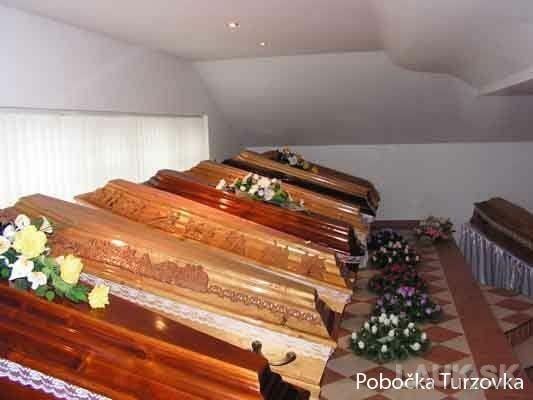 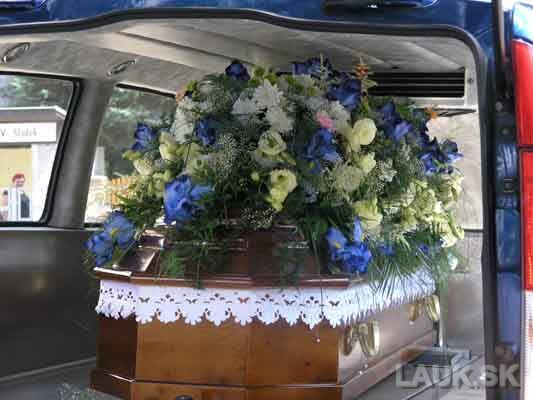 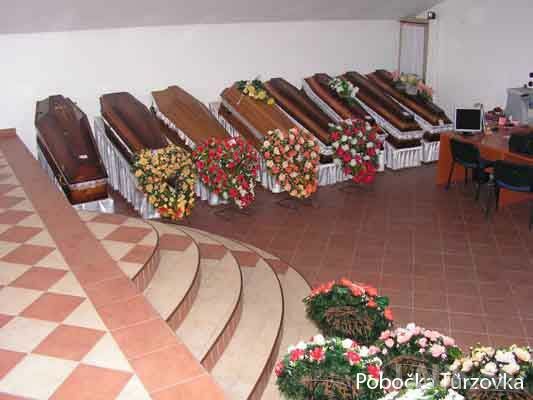 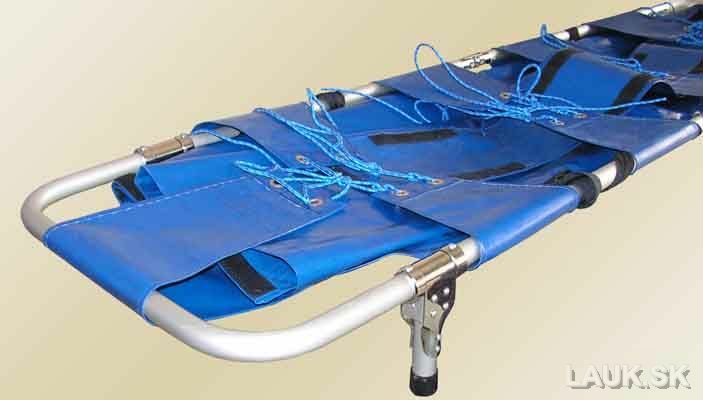 We provide transportation of the deceased from various european cities. 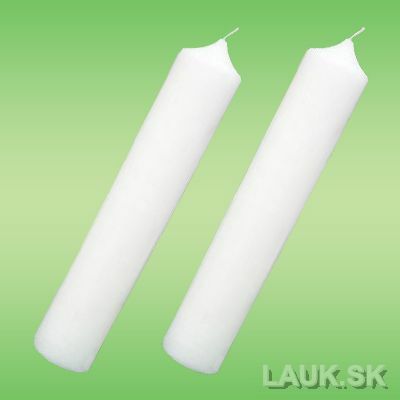 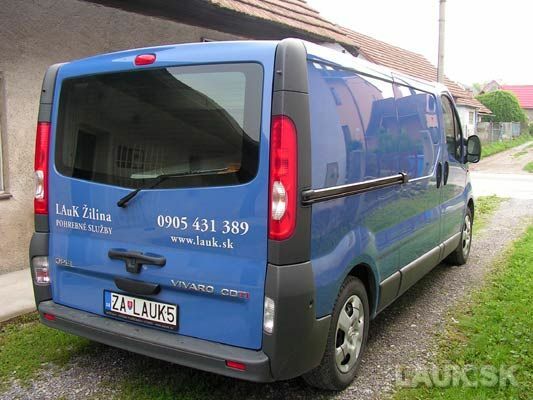 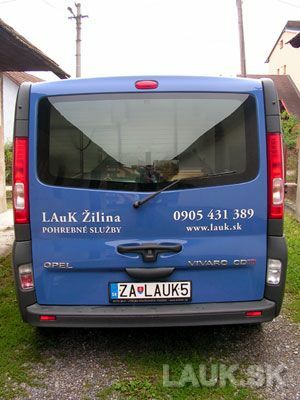 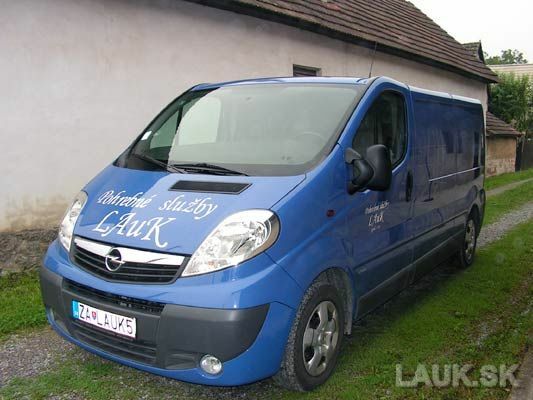 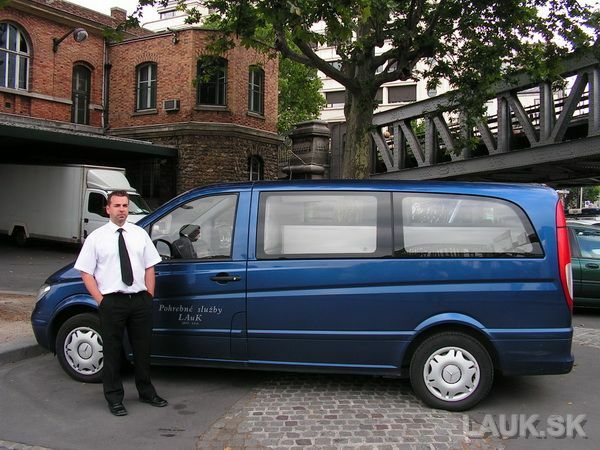 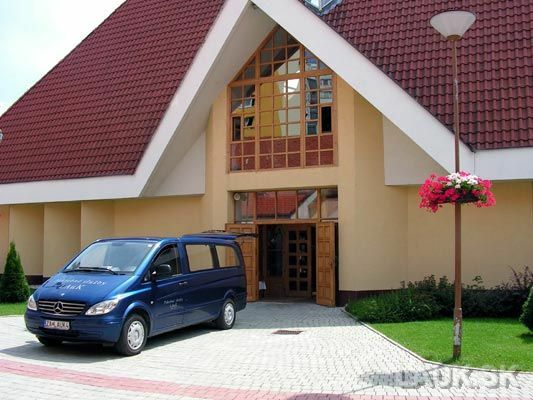 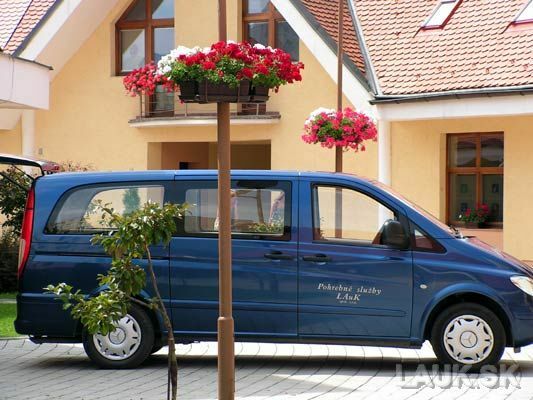 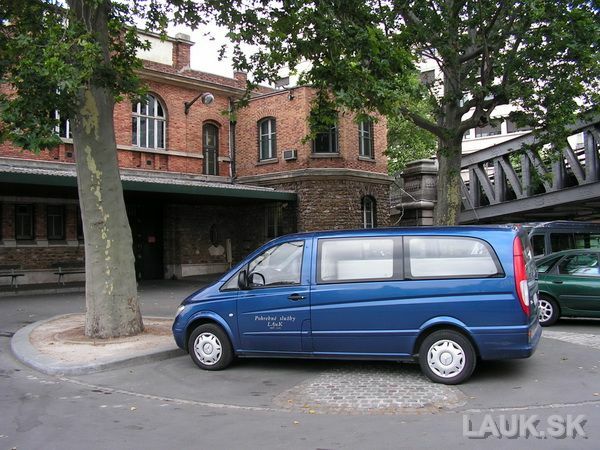 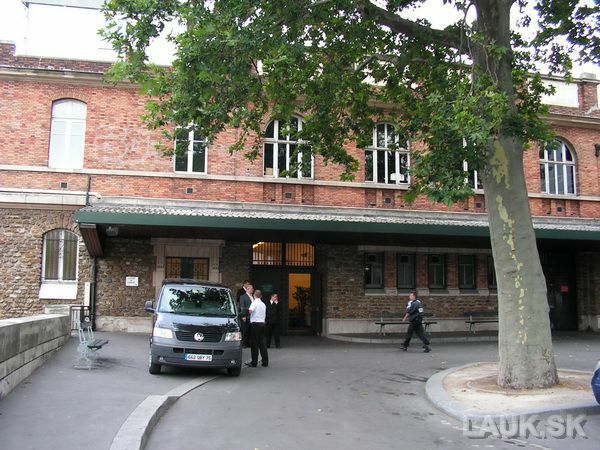 We provided transportation from cities like Paris, Zürich, Budapest, Warsaw, Rosenheim, Prague, Olomouc, Frýdek-Místek, Ostrava, Nový Jičín, Vsetín etc. 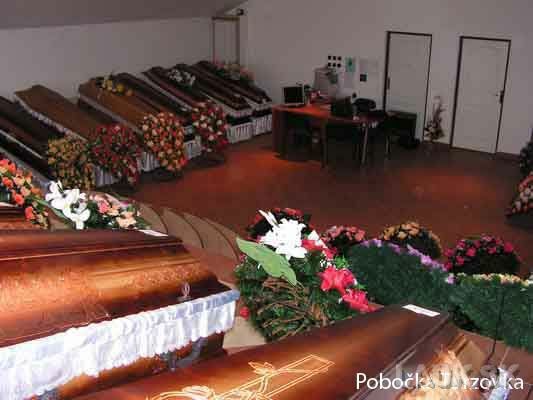 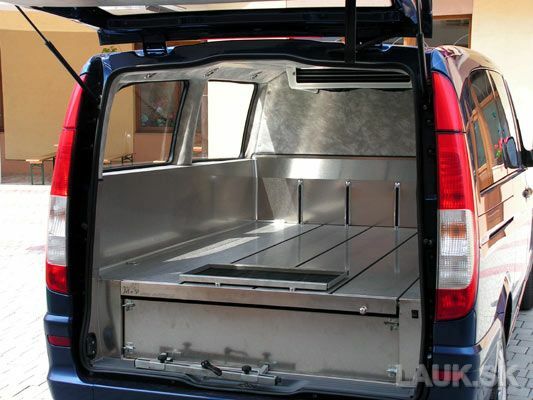 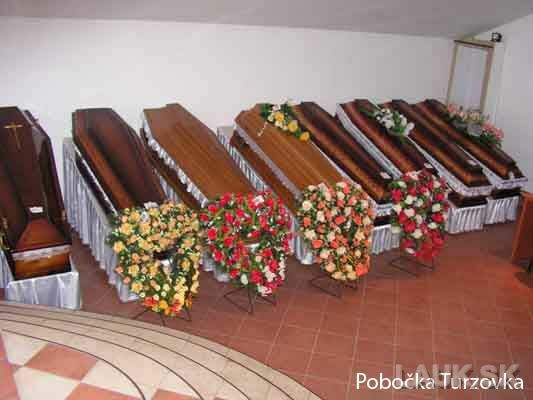 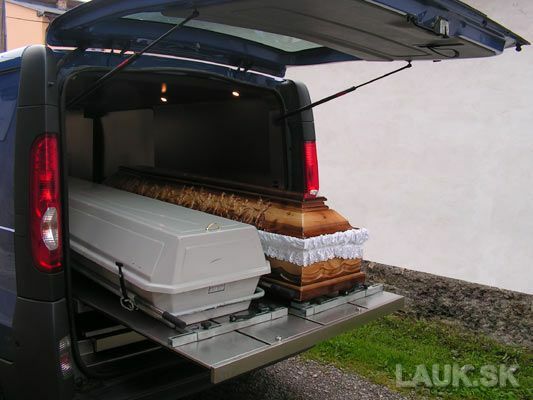 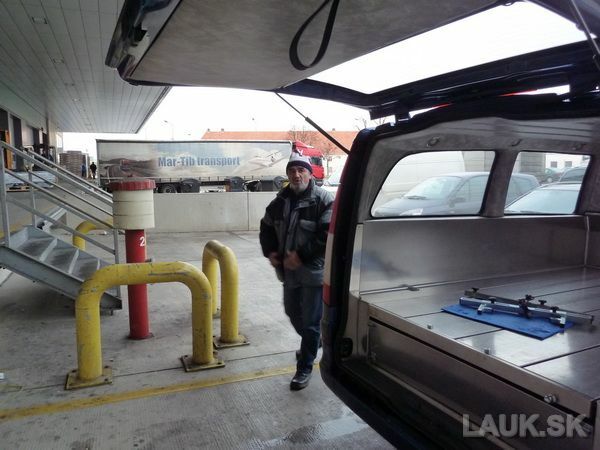 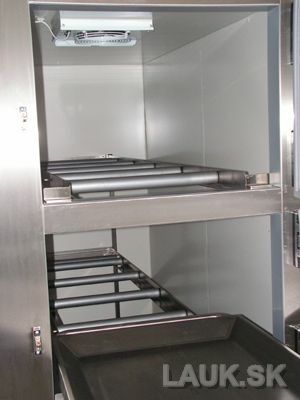 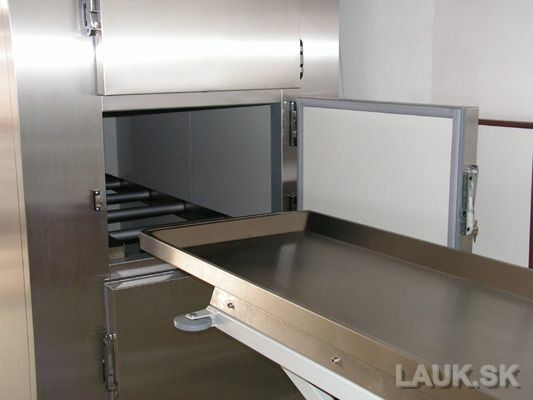 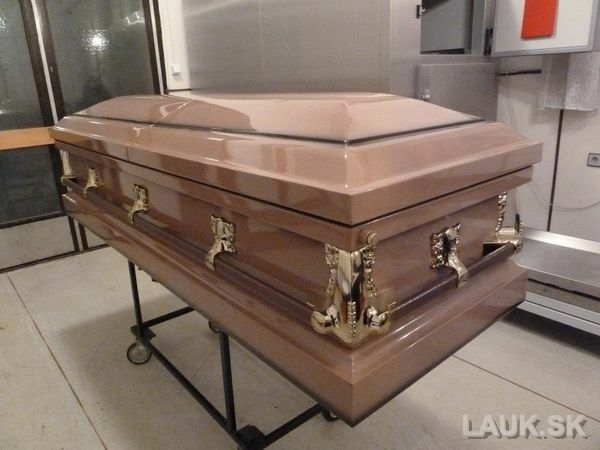 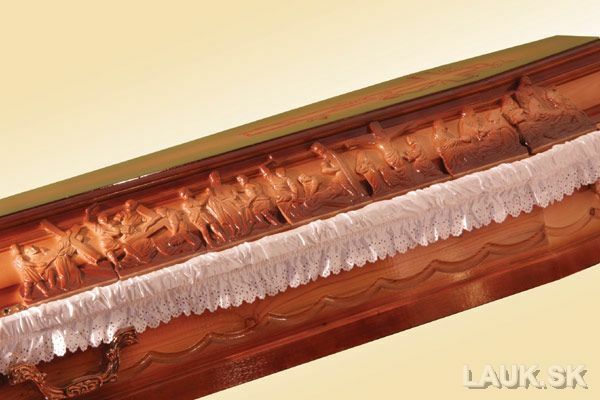 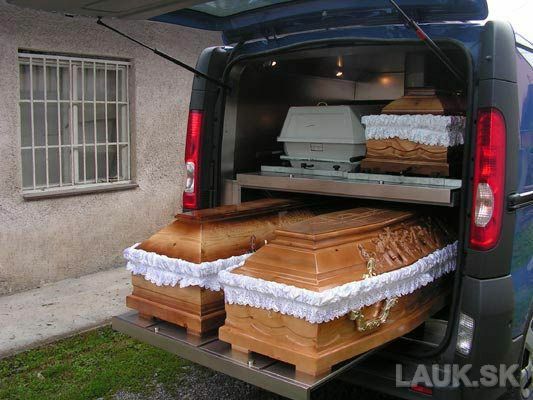 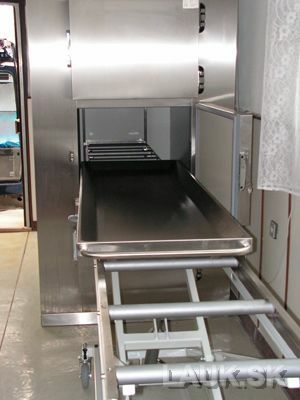 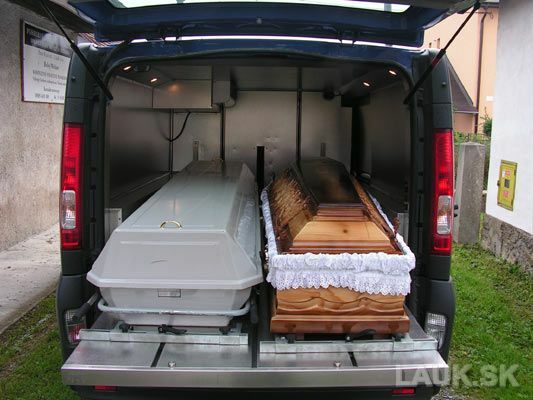 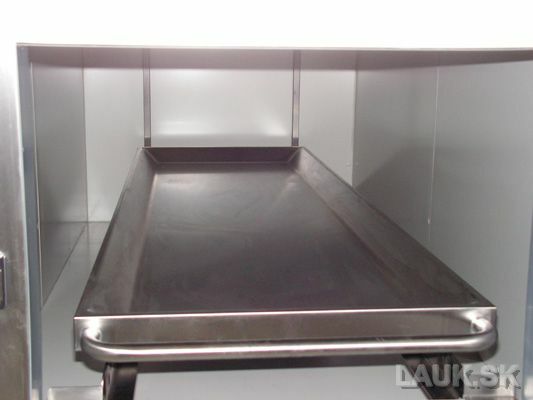 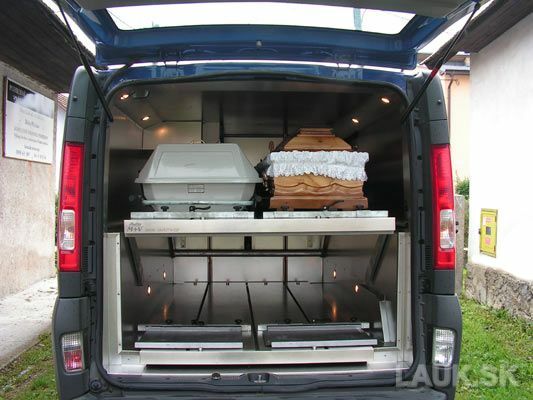 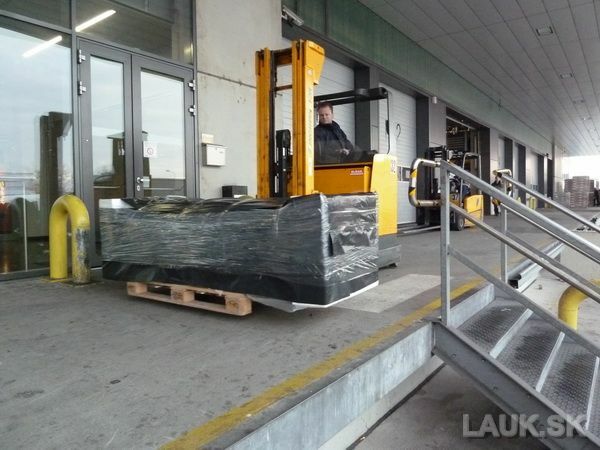 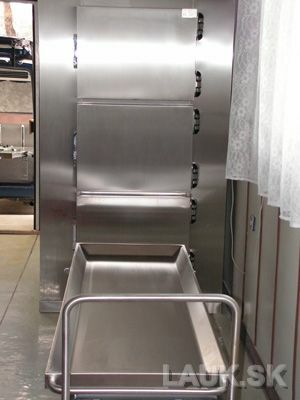 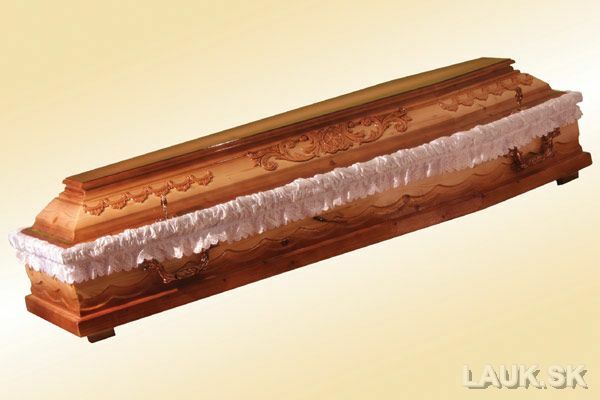 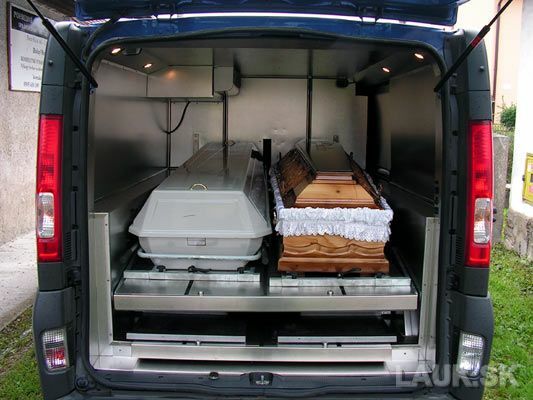 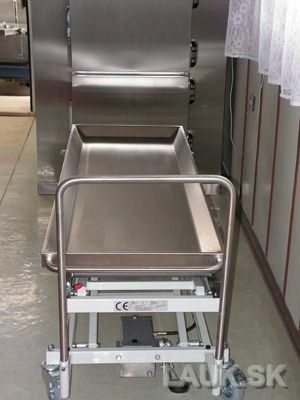 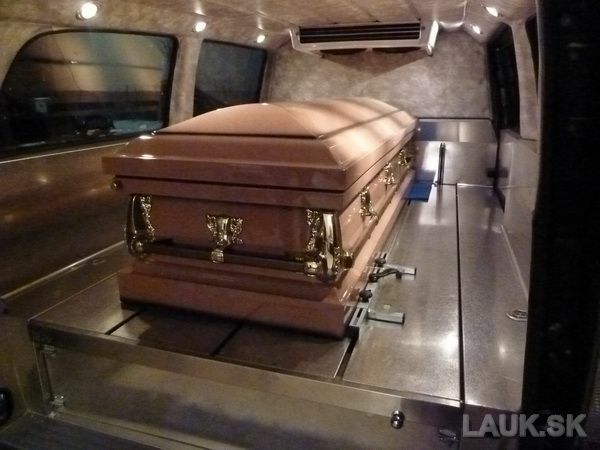 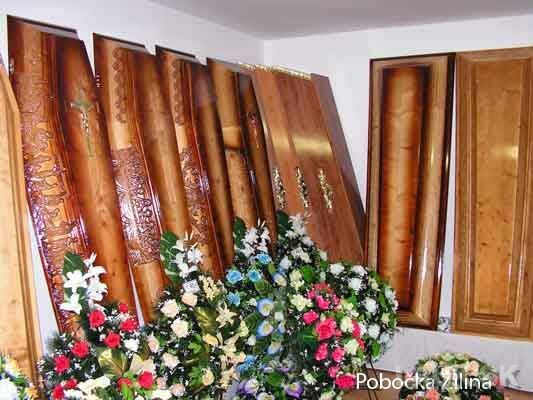 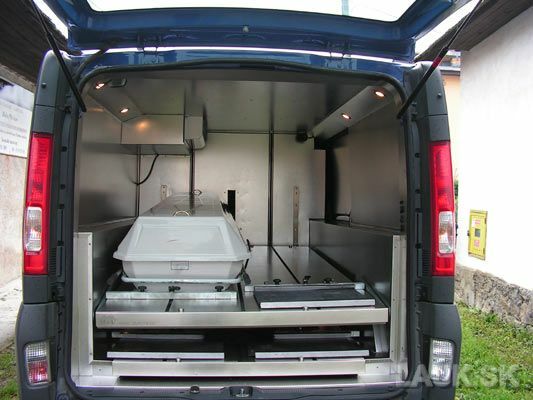 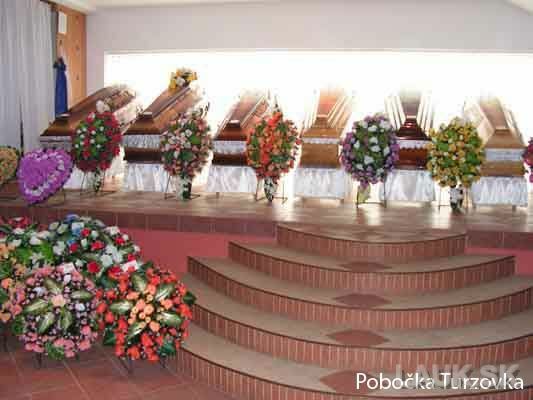 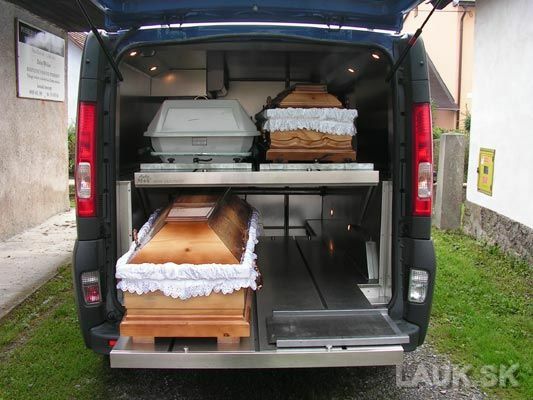 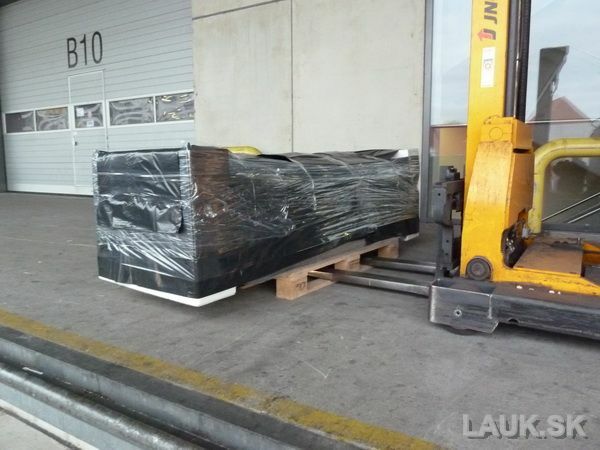 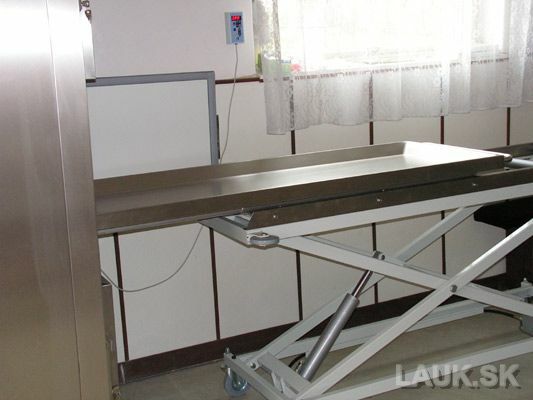 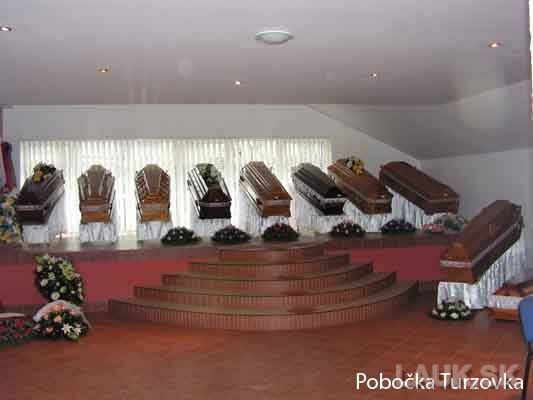 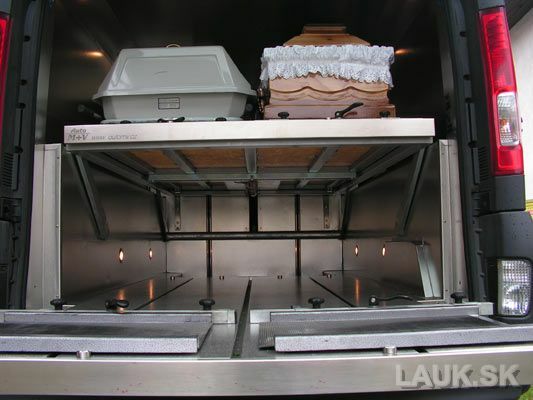 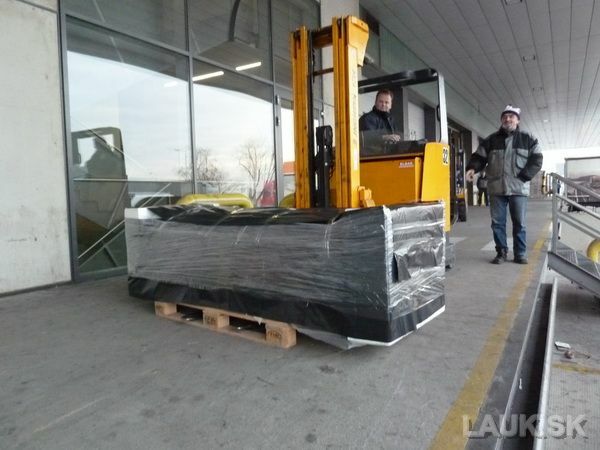 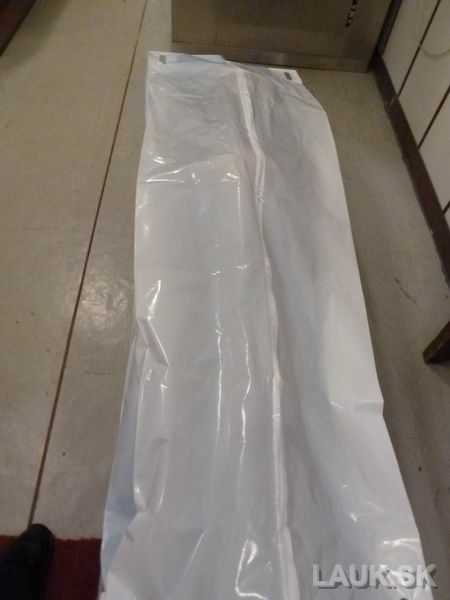 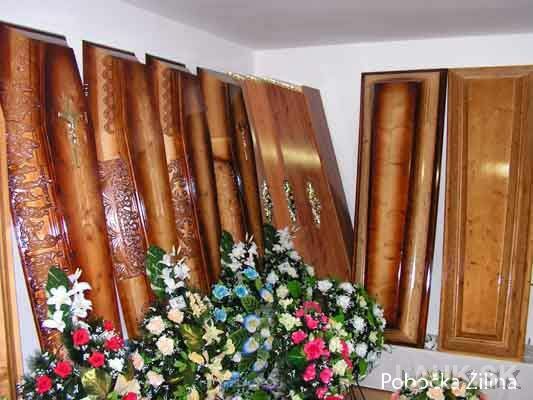 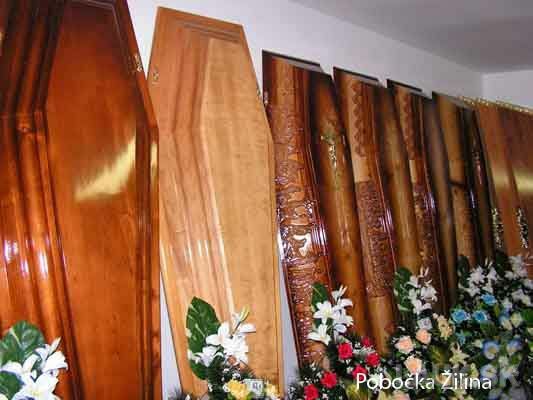 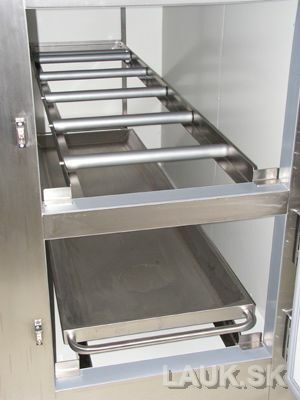 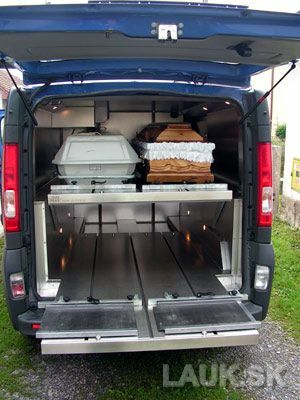 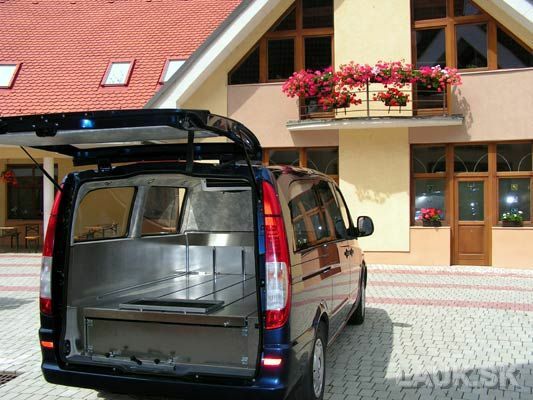 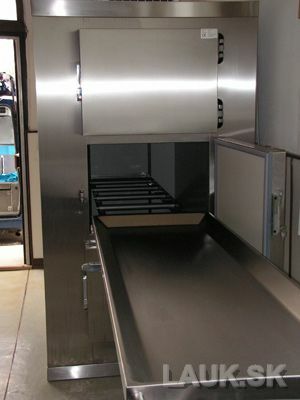 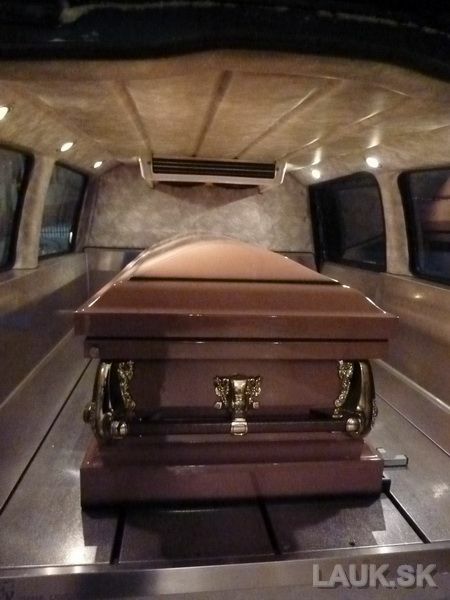 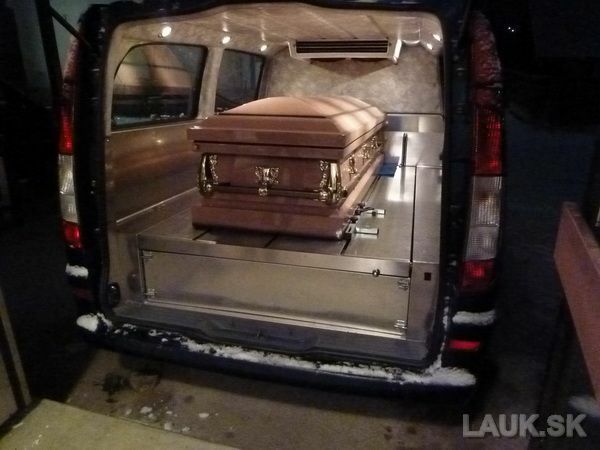 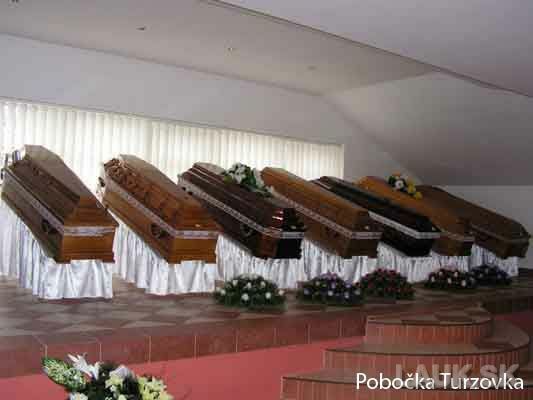 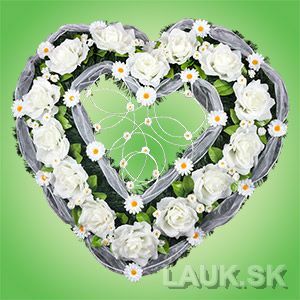 We provide transportation of the deceased in certified caskets to all over the world.For example,we provided transportation from the Vienna airport to South Korea. 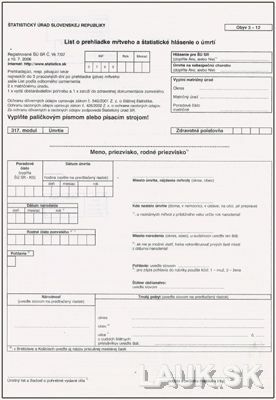 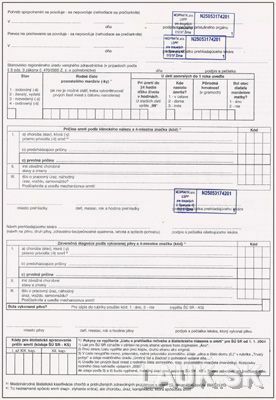 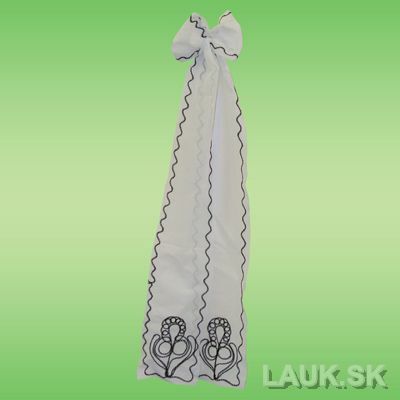 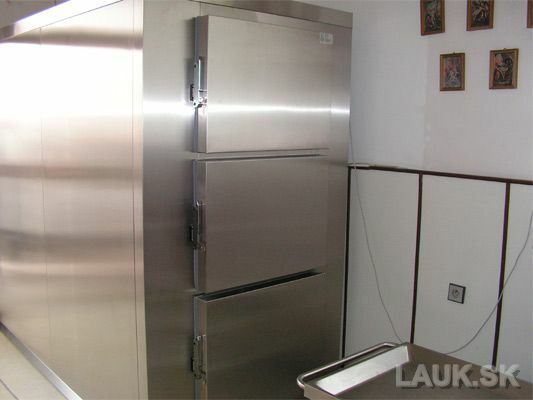 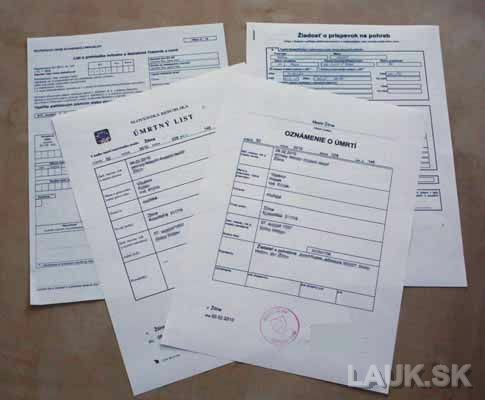 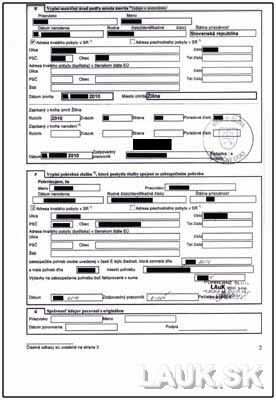 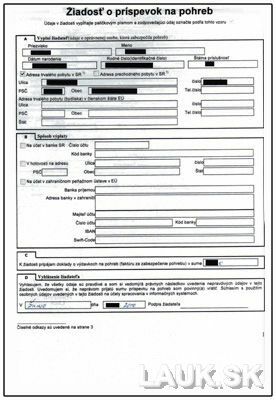 We settle all the documents and certificates. 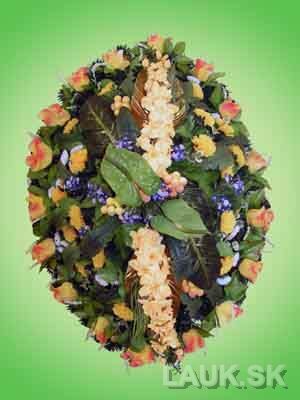 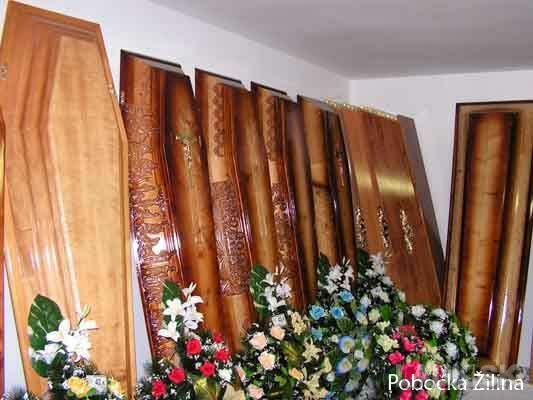 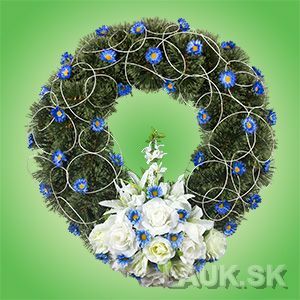 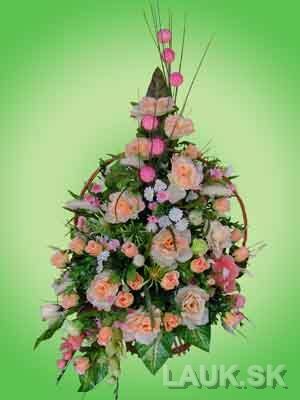 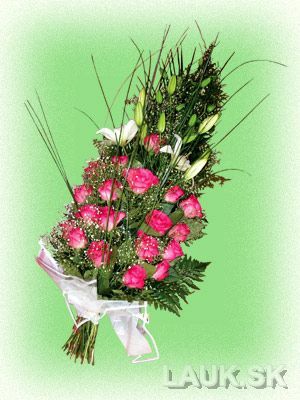 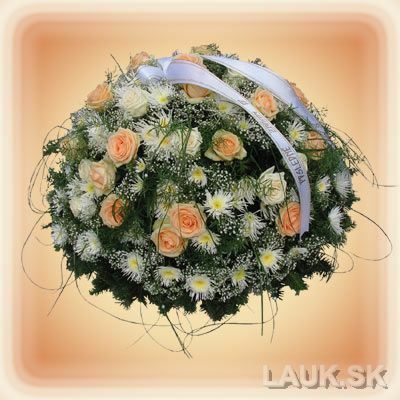 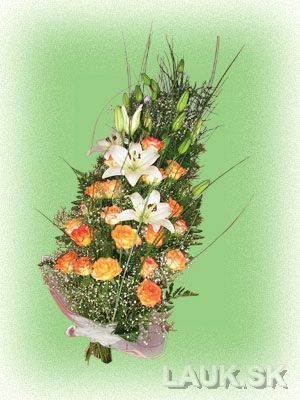 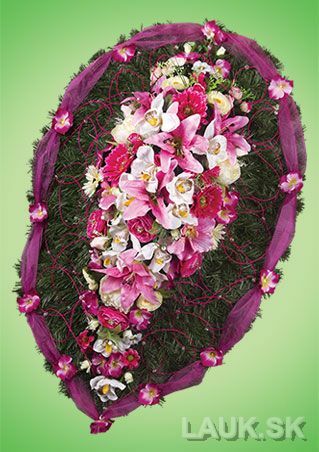 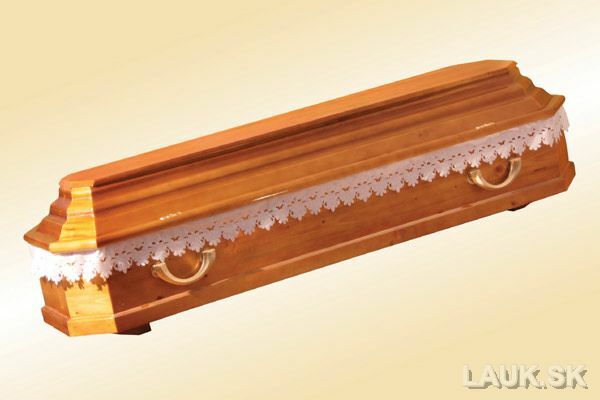 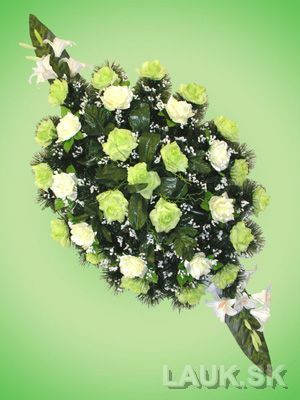 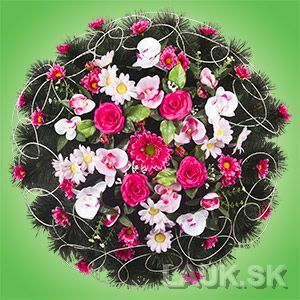 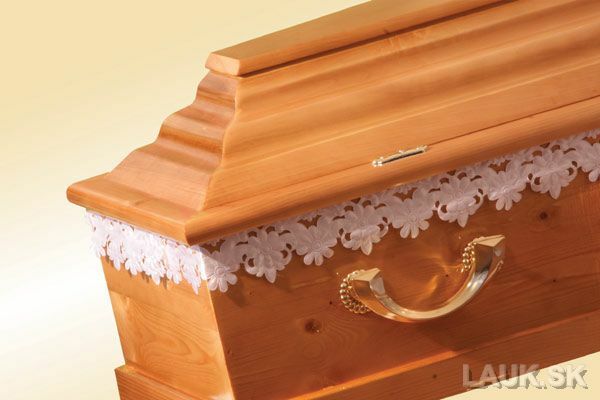 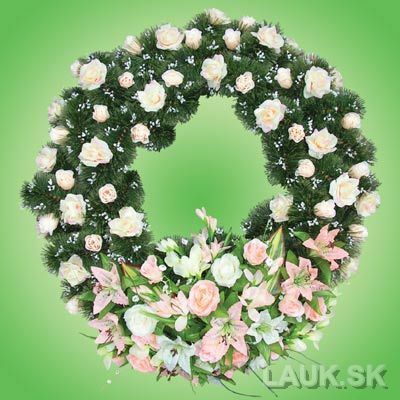 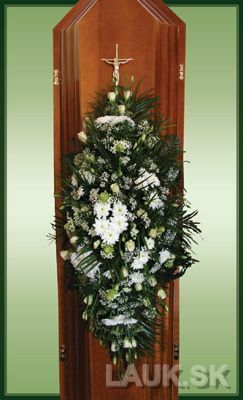 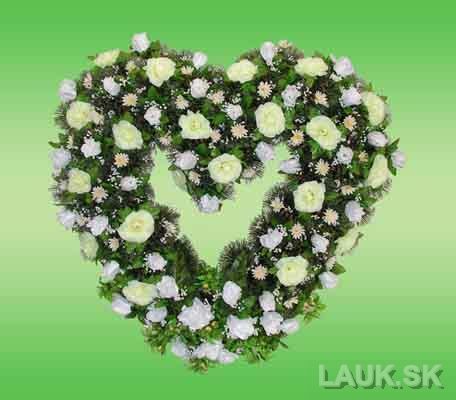 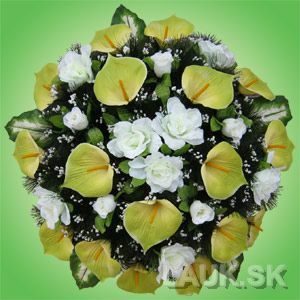 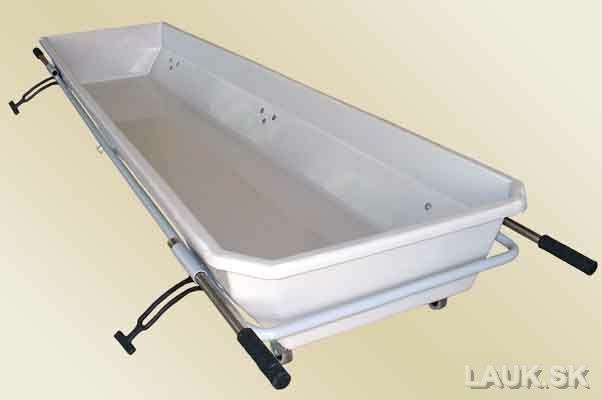 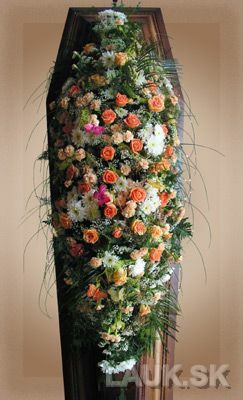 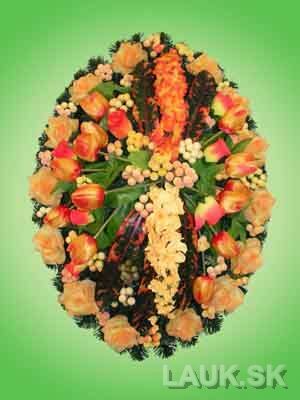 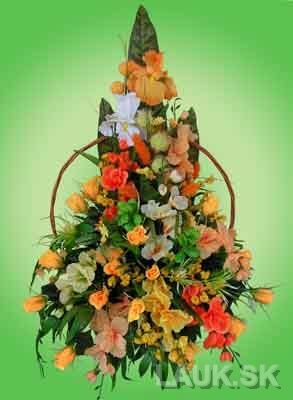 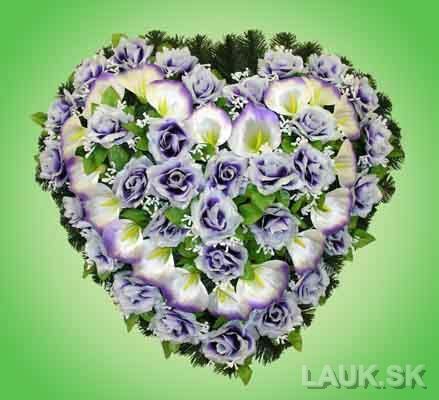 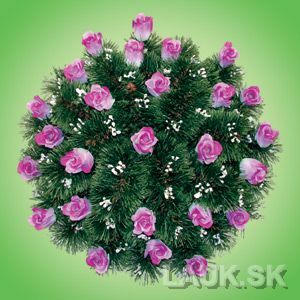 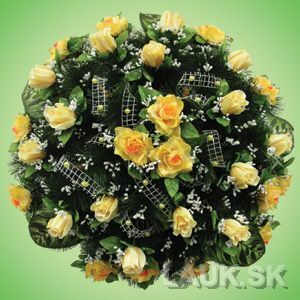 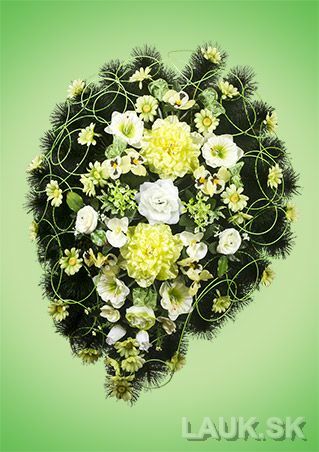 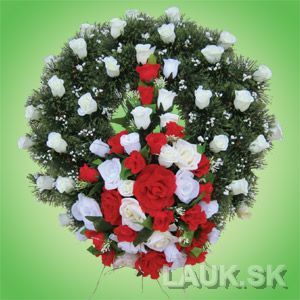 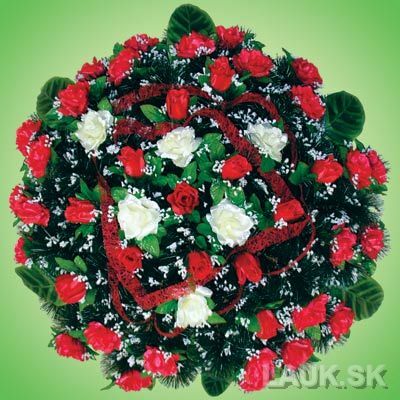 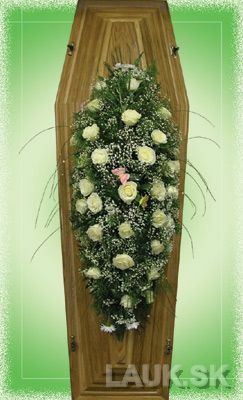 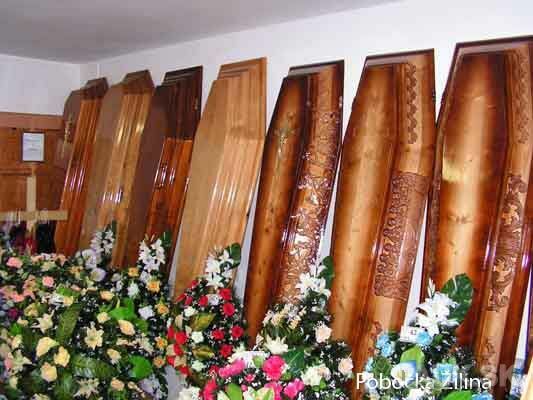 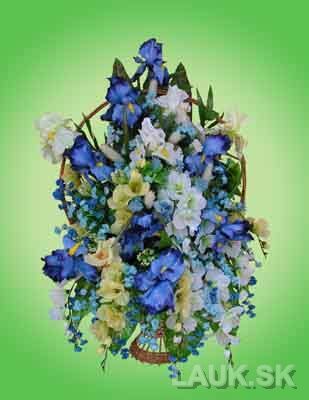 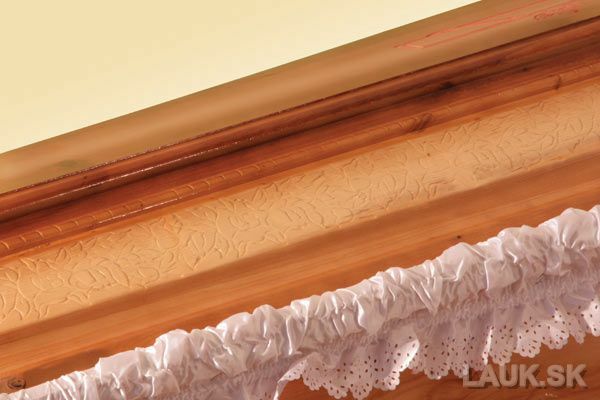 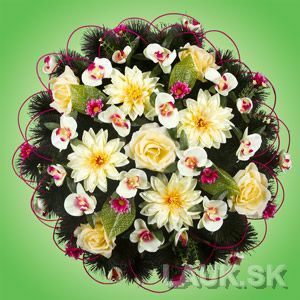 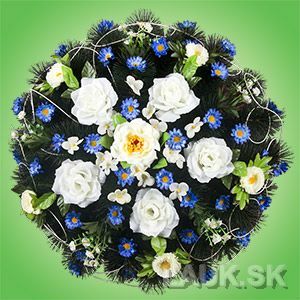 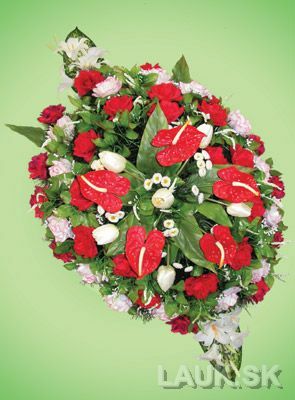 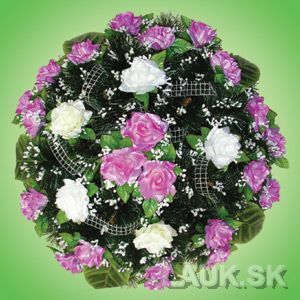 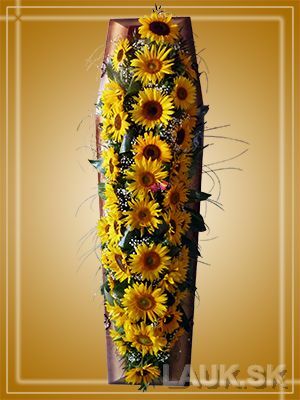 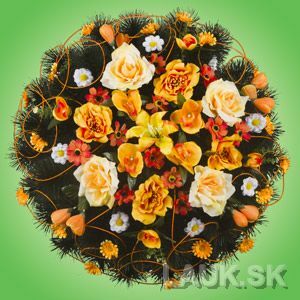 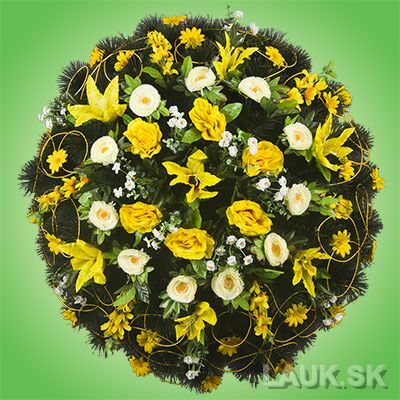 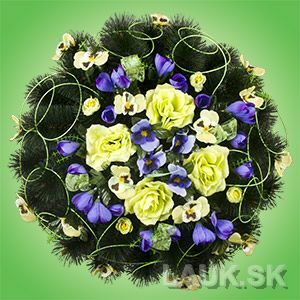 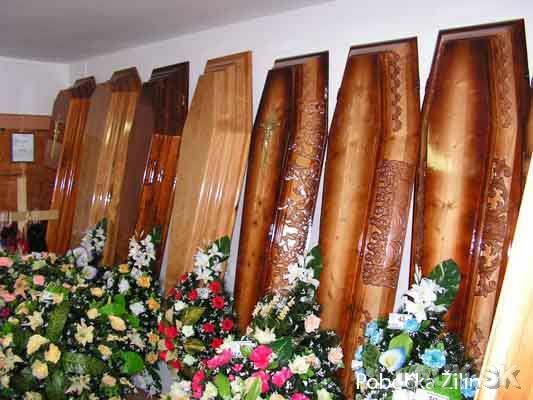 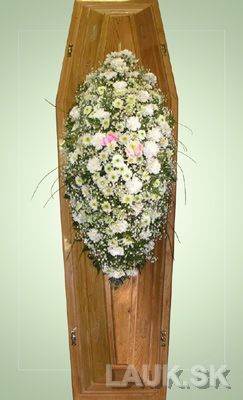 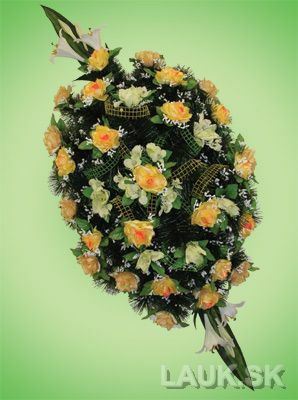 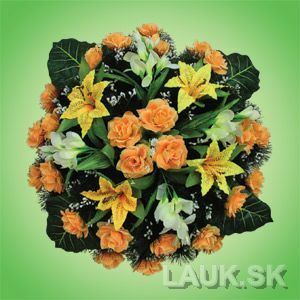 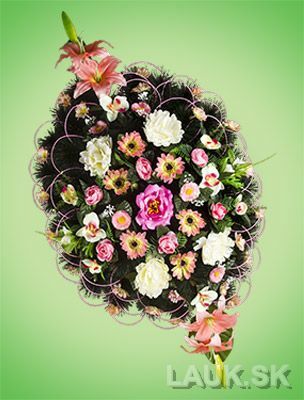 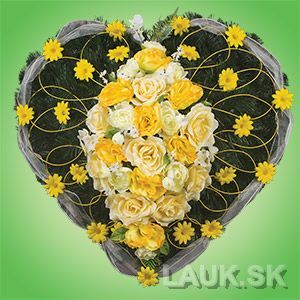 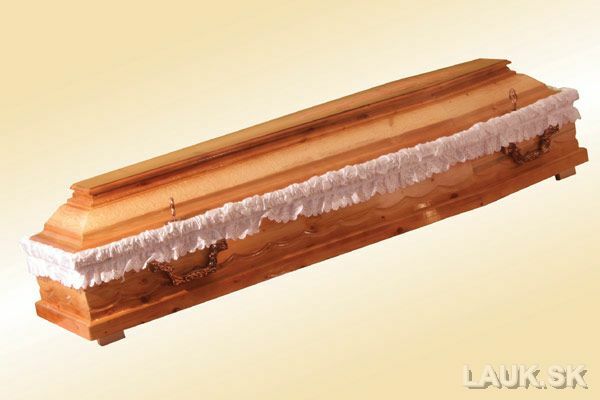 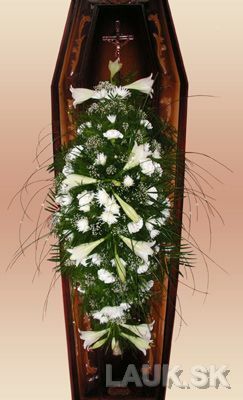 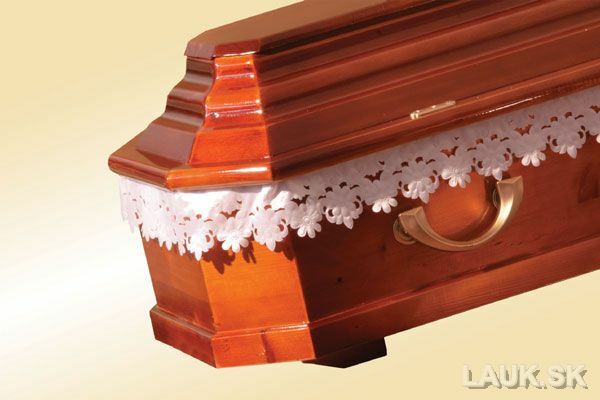 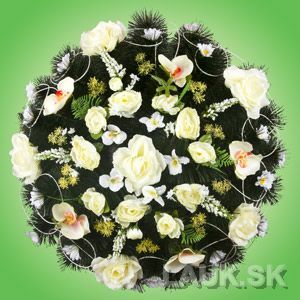 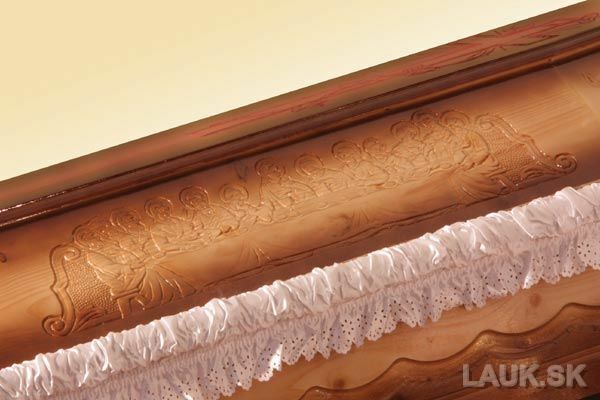 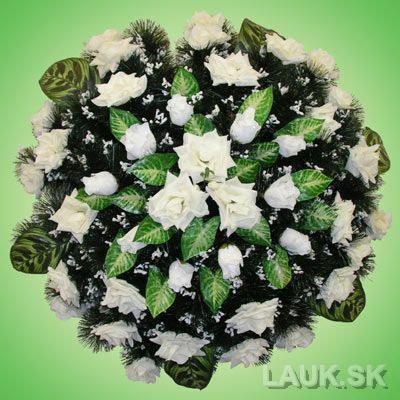 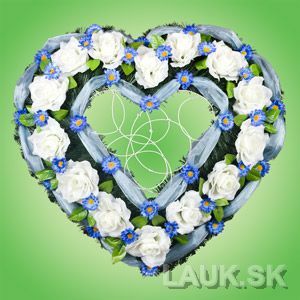 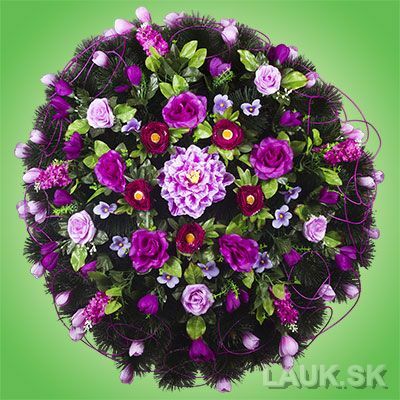 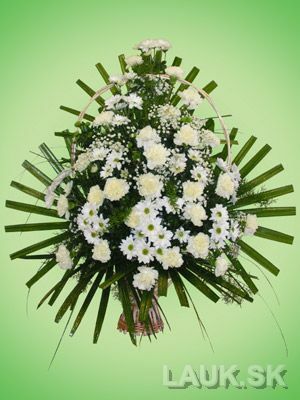 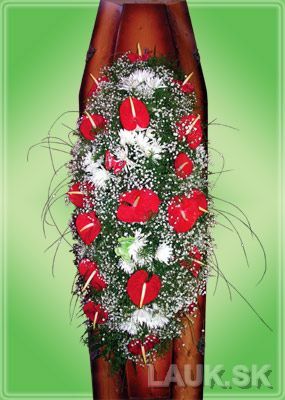 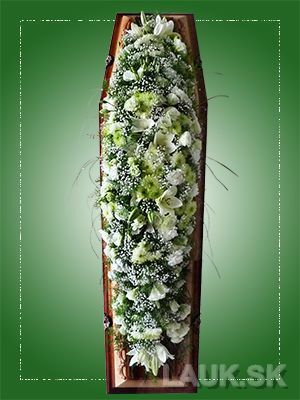 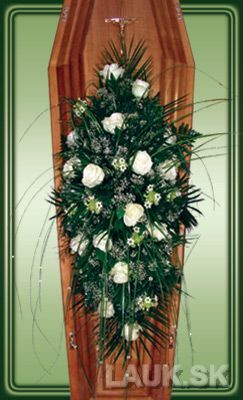 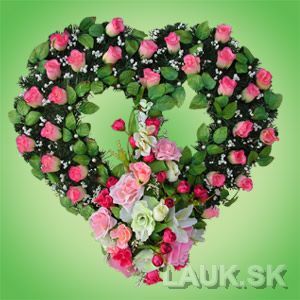 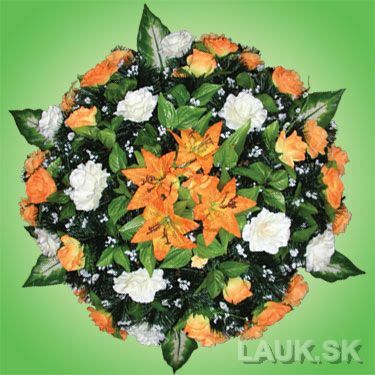 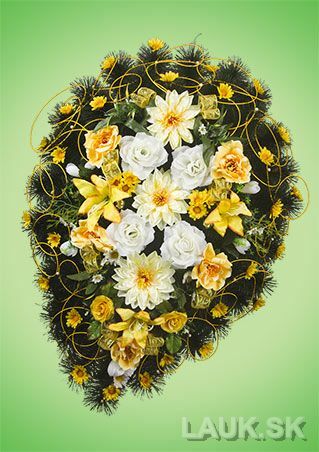 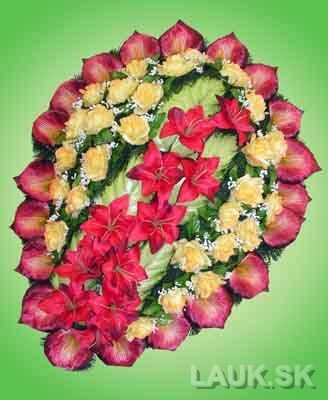 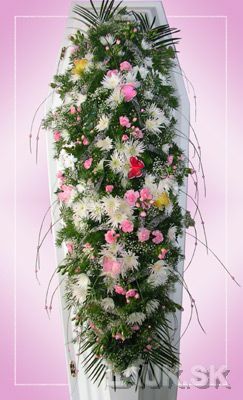 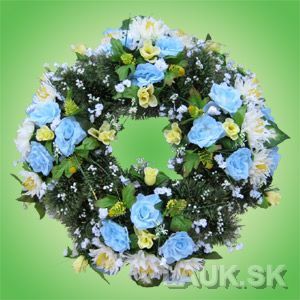 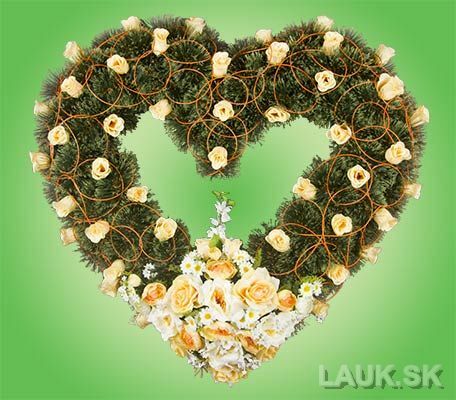 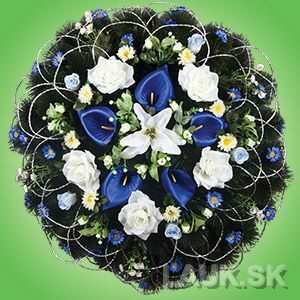 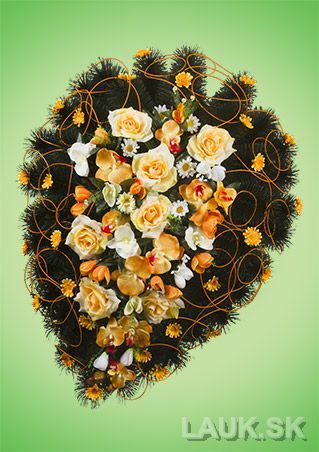 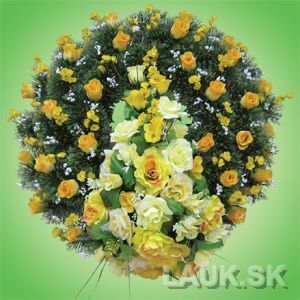 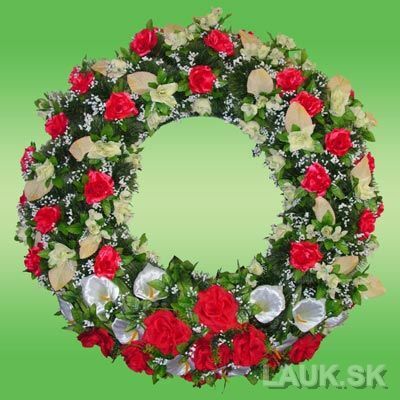 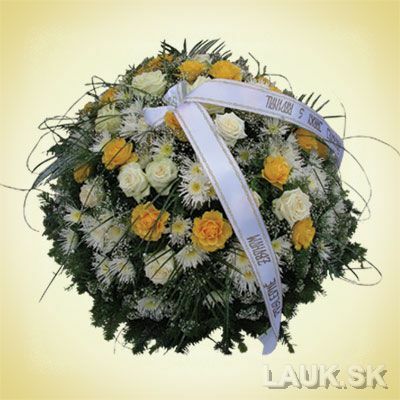 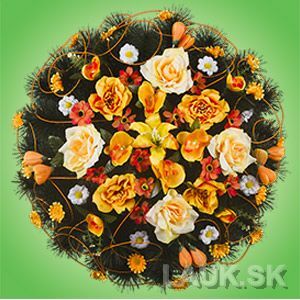 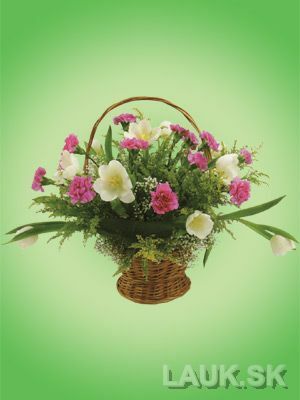 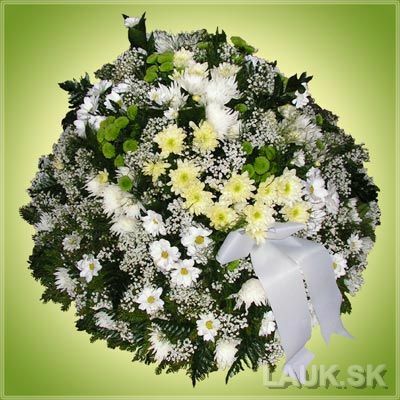 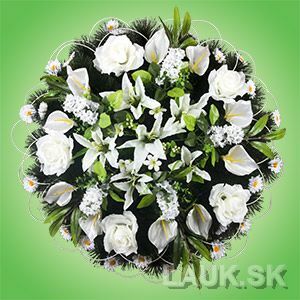 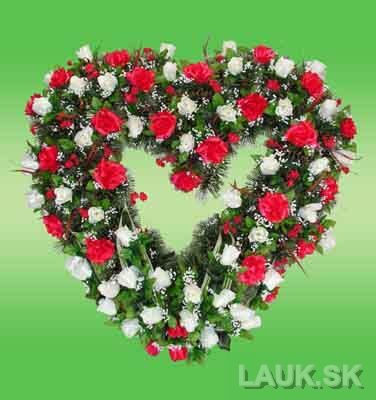 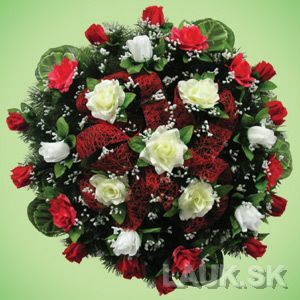 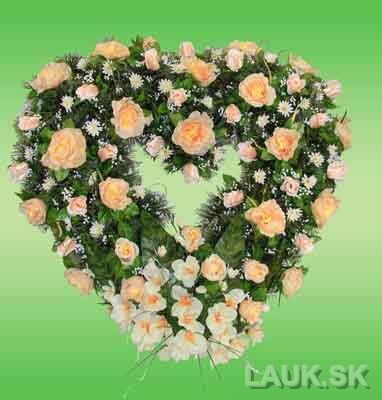 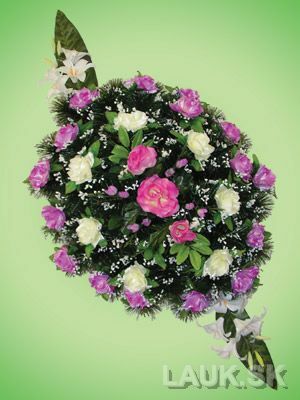 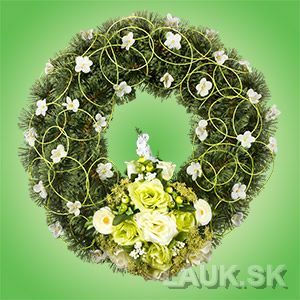 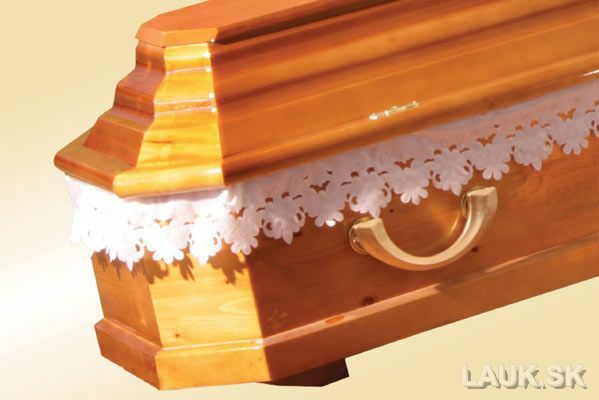 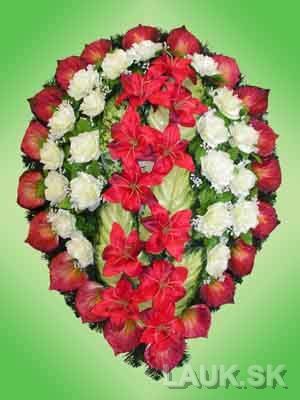 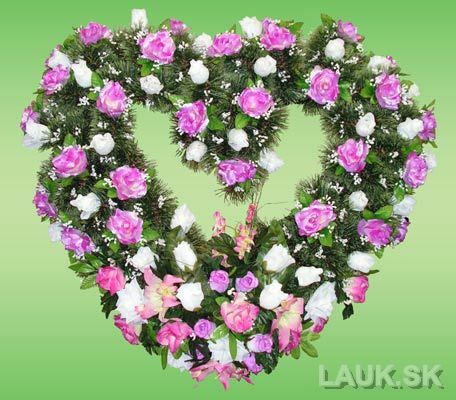 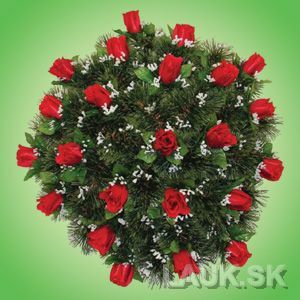 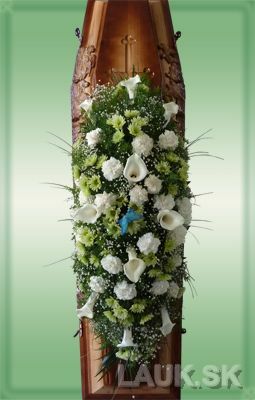 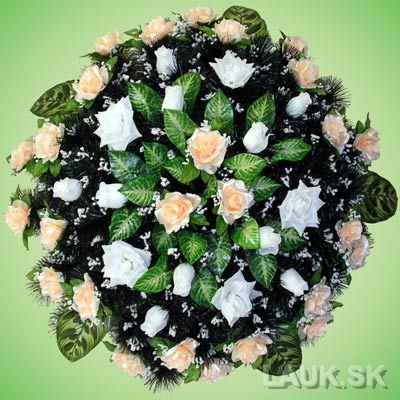 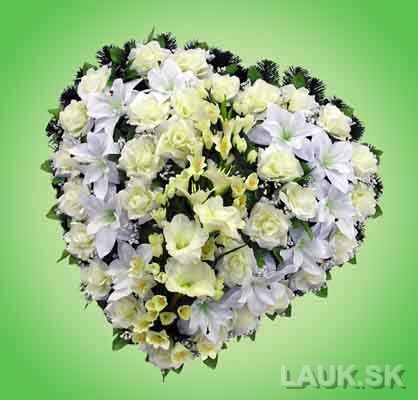 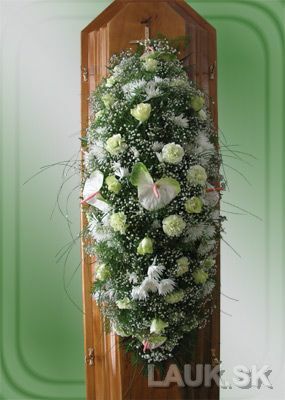 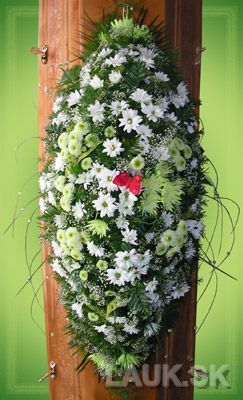 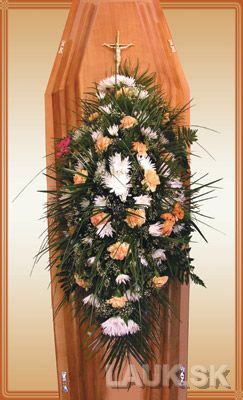 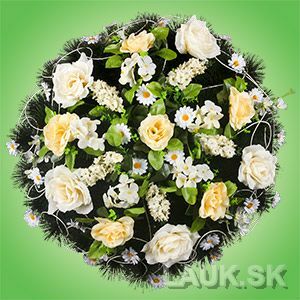 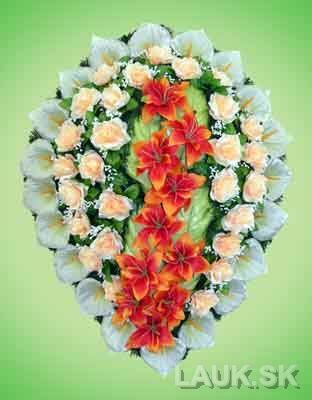 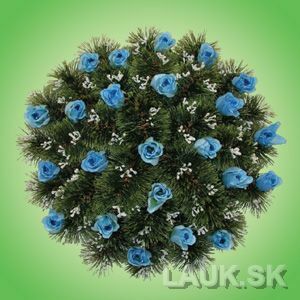 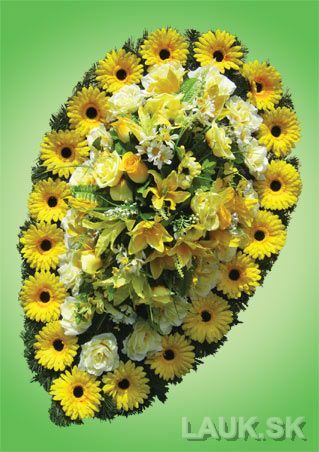 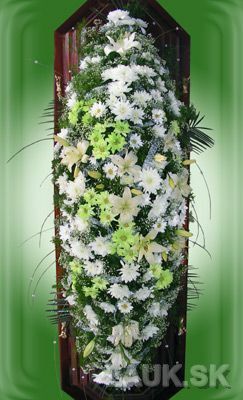 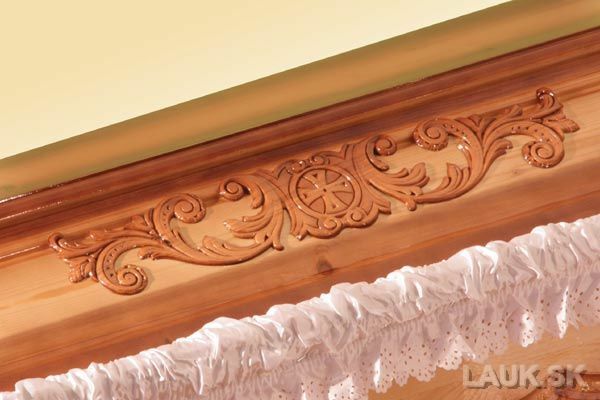 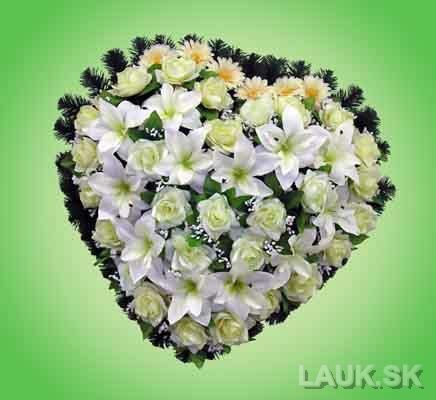 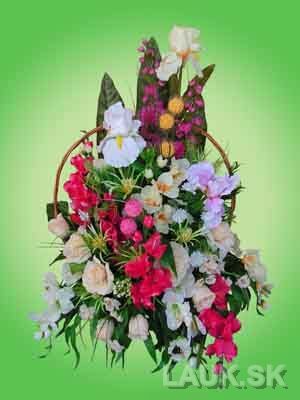 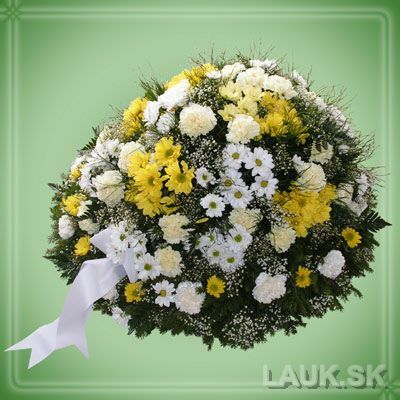 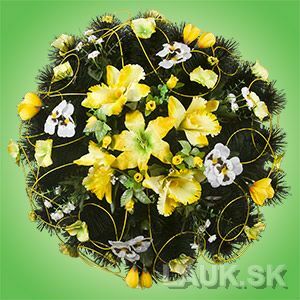 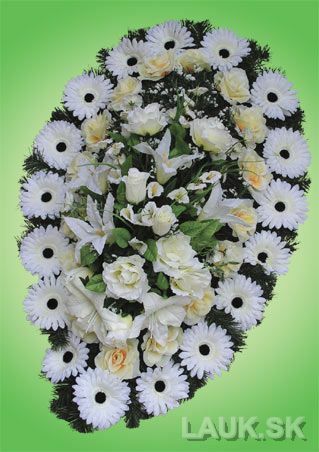 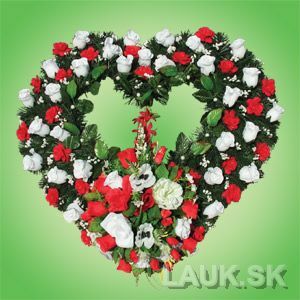 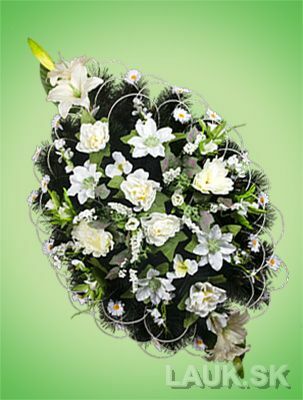 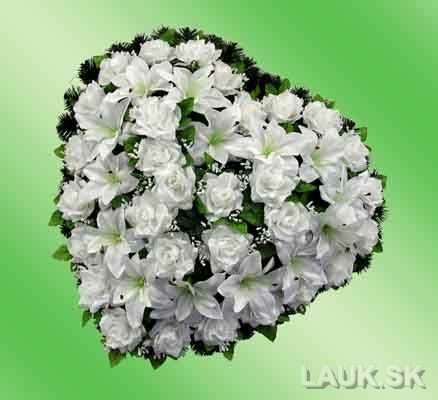 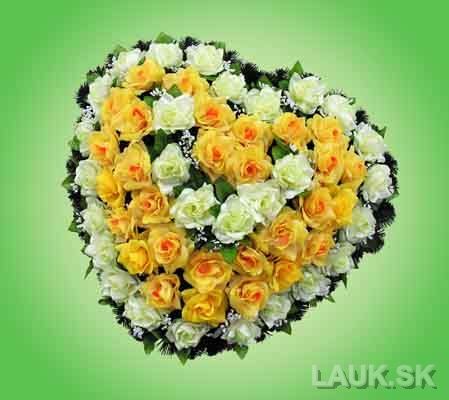 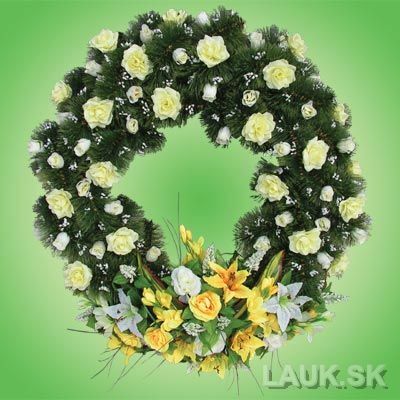 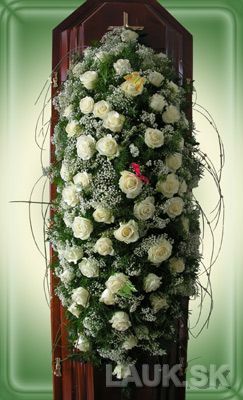 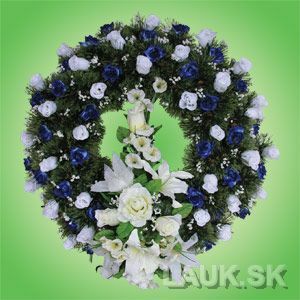 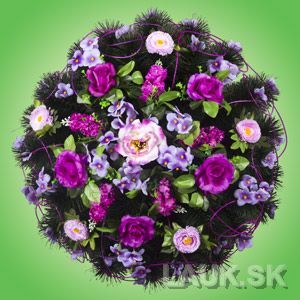 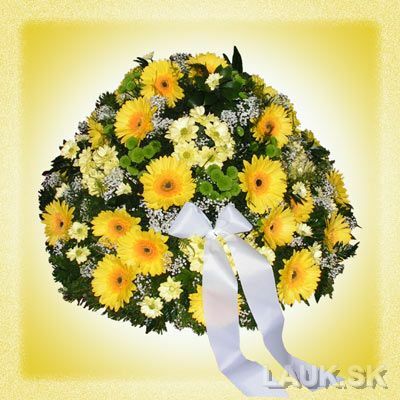 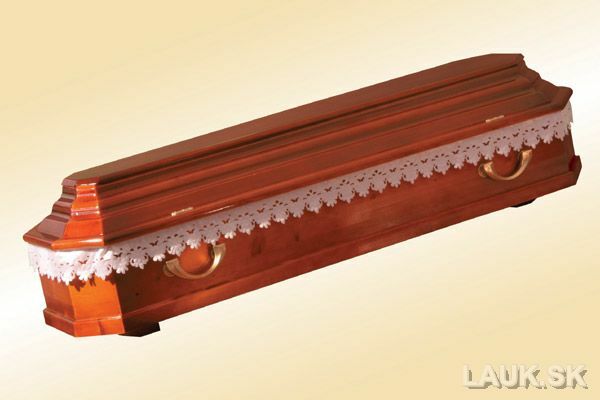 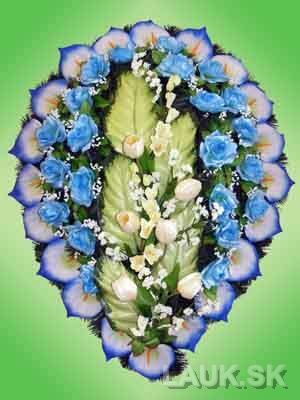 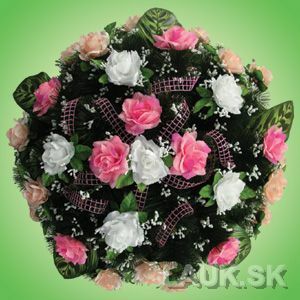 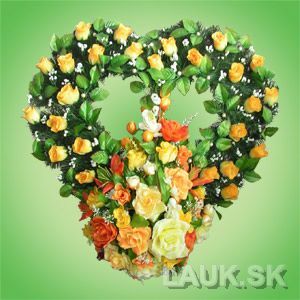 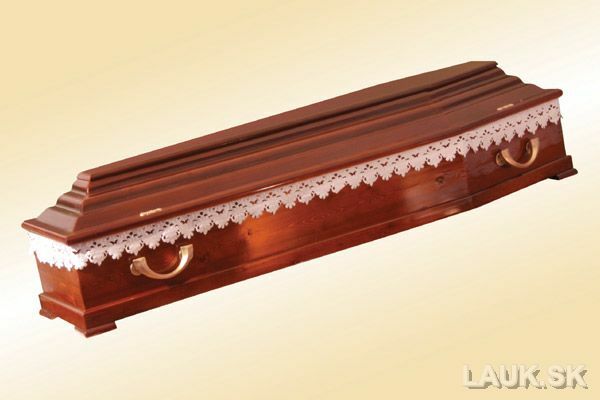 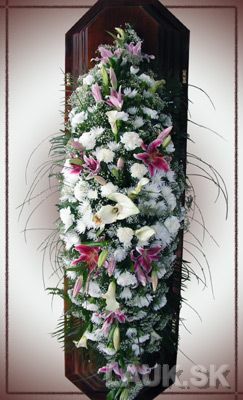 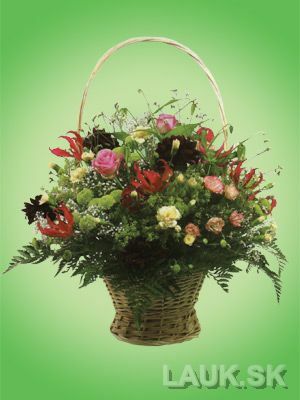 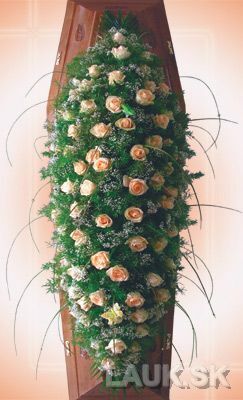 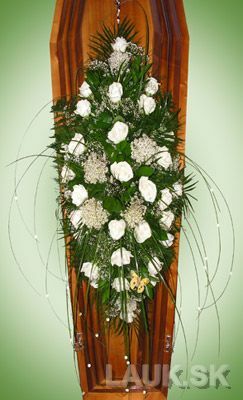 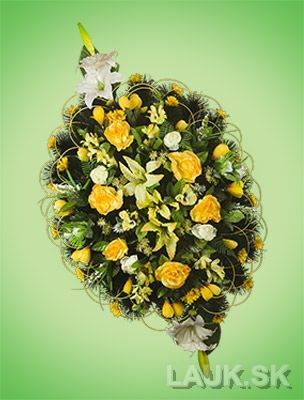 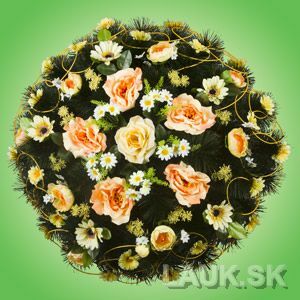 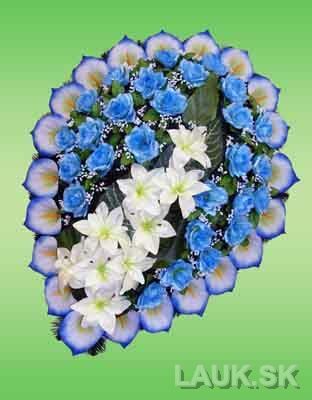 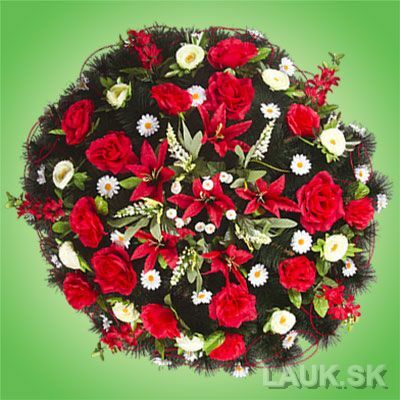 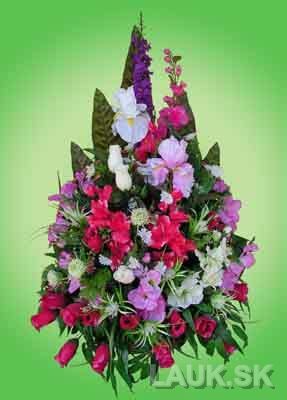 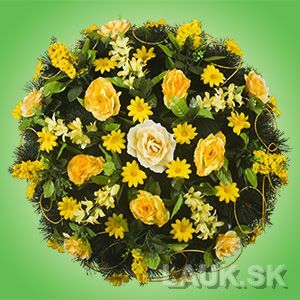 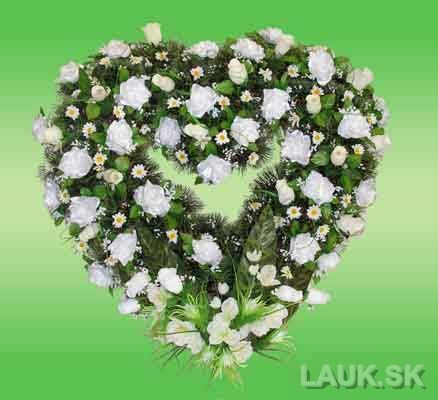 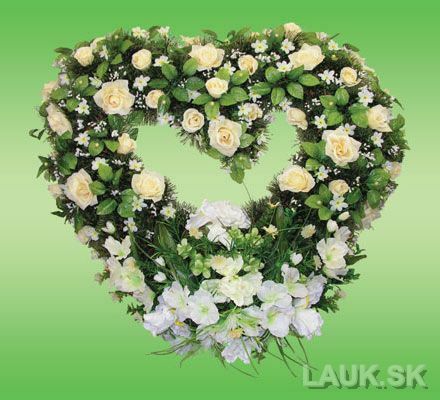 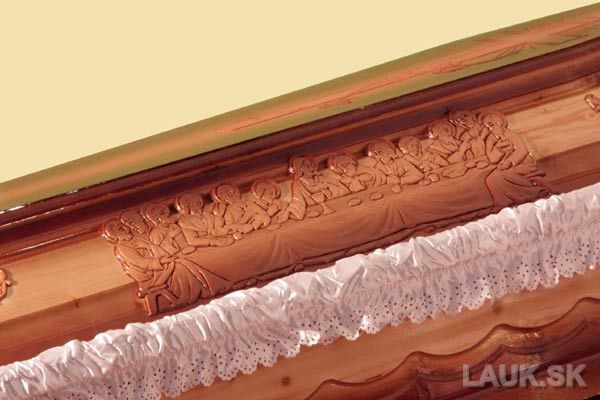 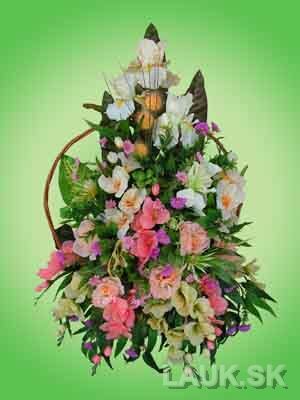 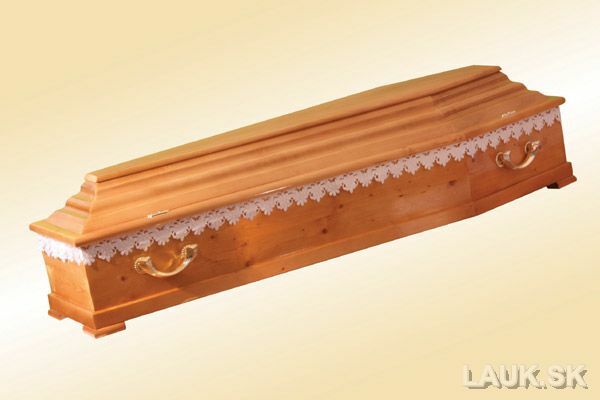 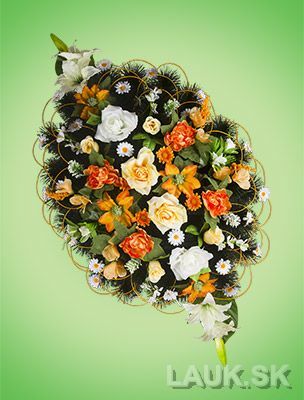 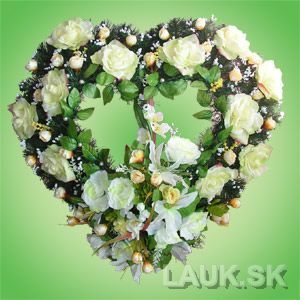 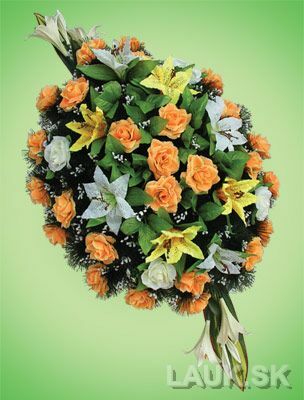 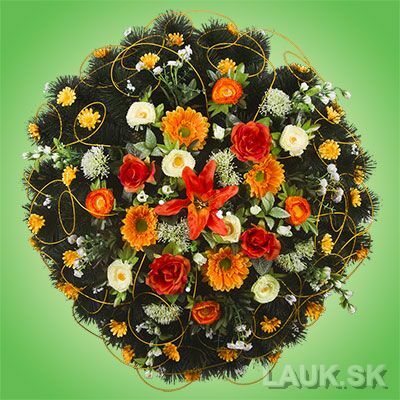 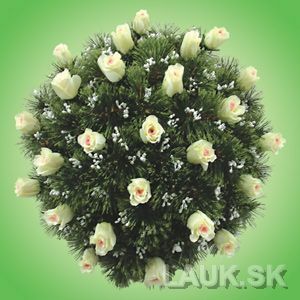 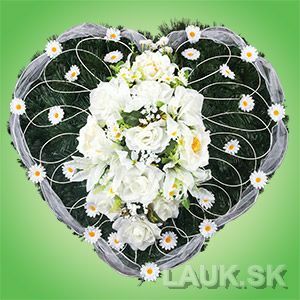 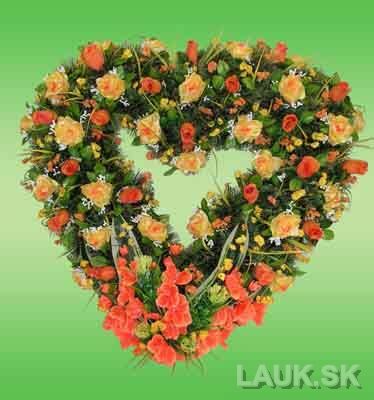 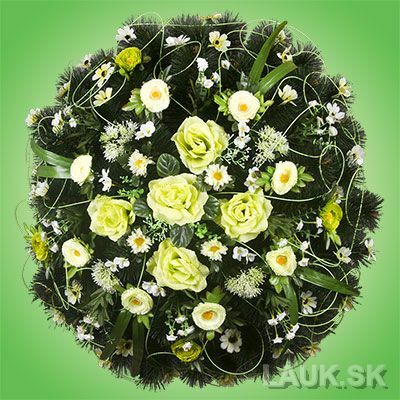 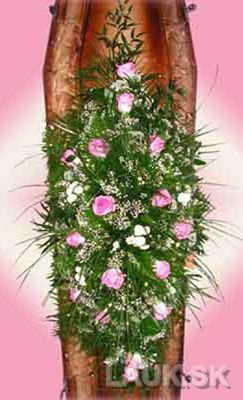 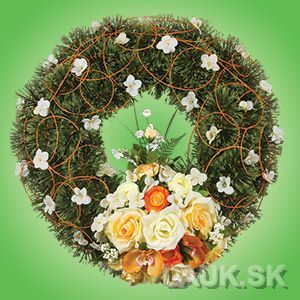 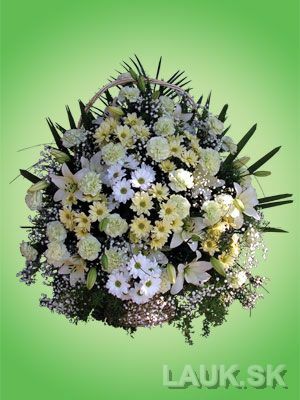 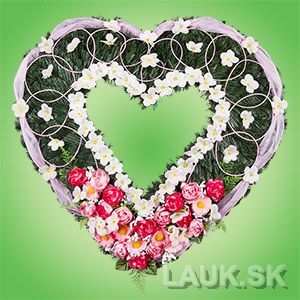 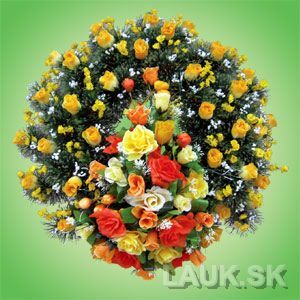 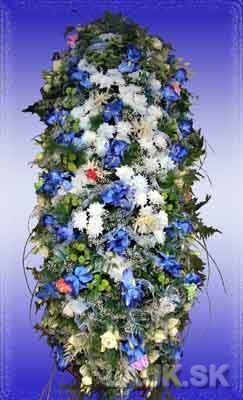 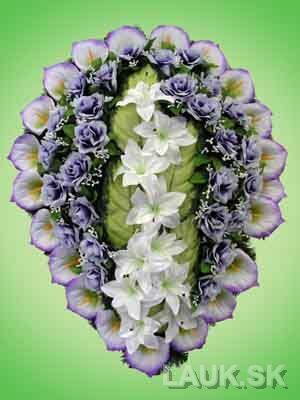 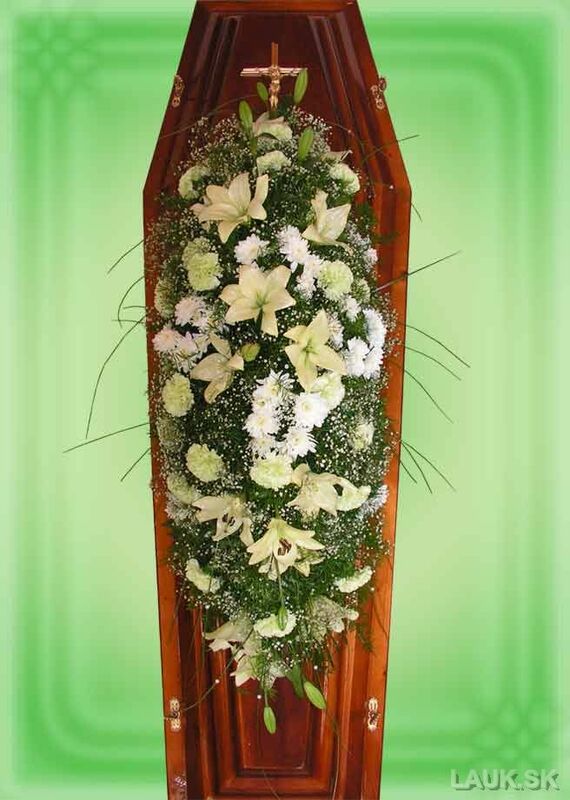 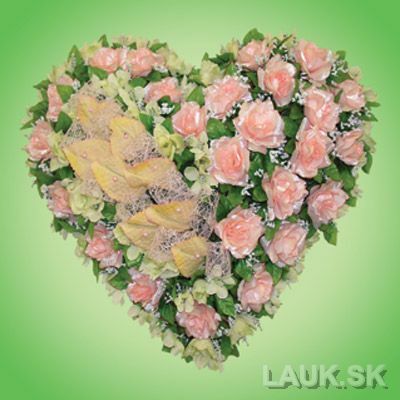 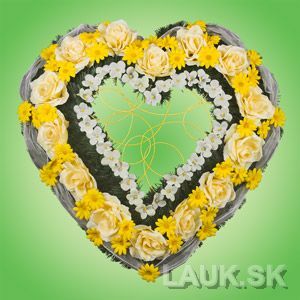 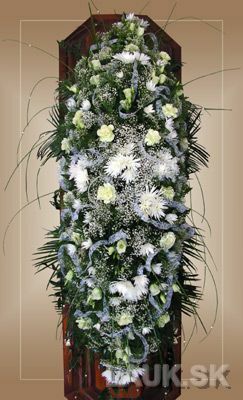 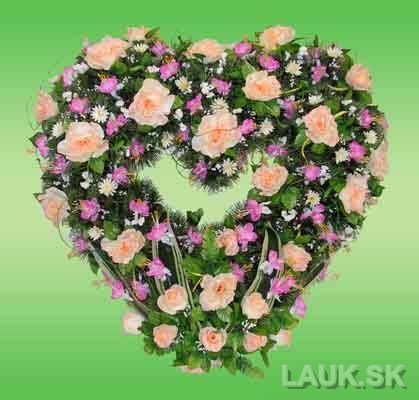 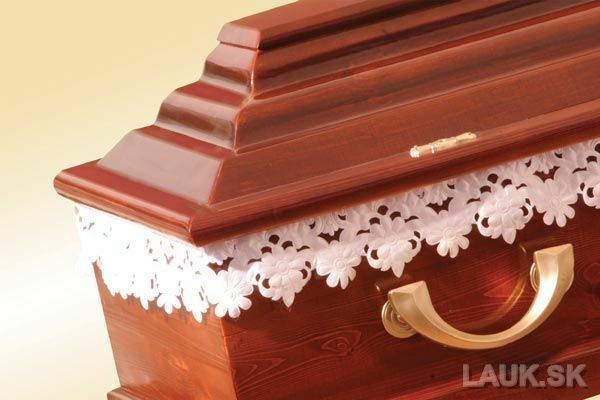 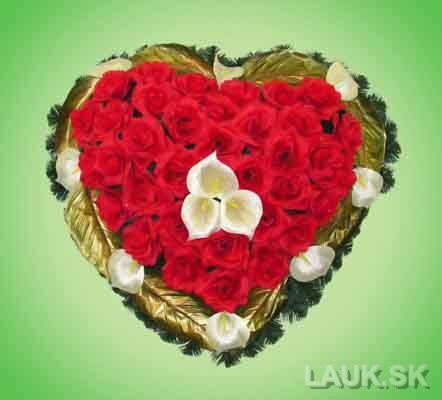 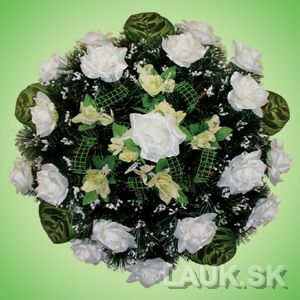 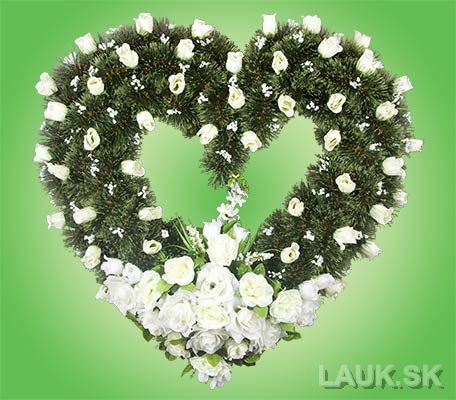 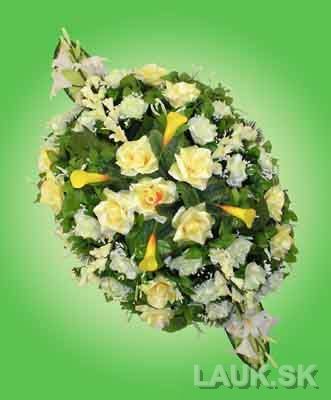 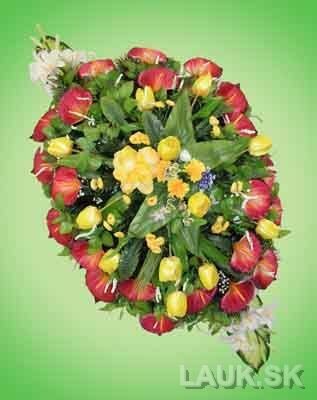 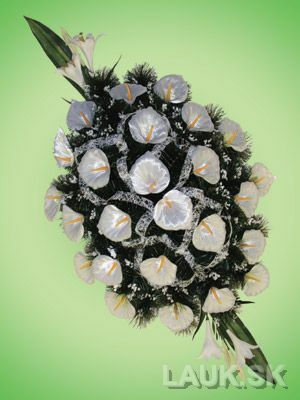 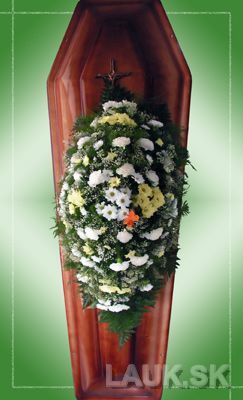 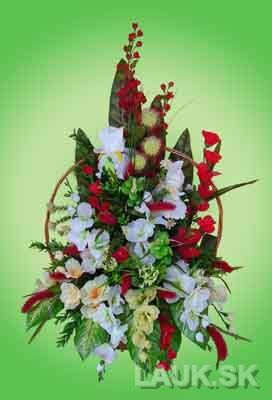 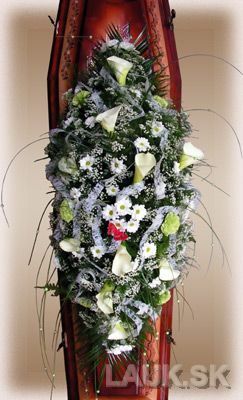 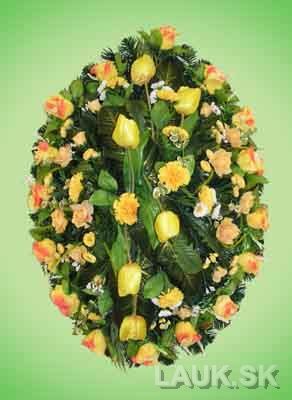 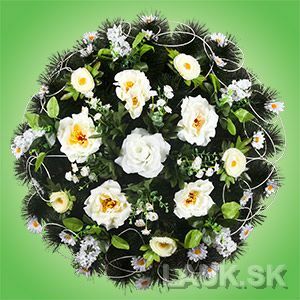 After selecting a casket, customer can choose a customized fresh flowers ikebana. 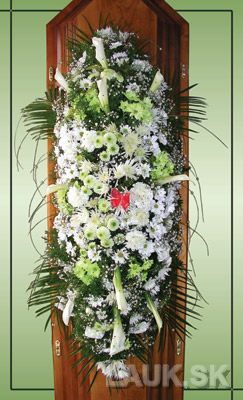 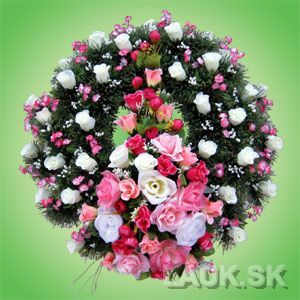 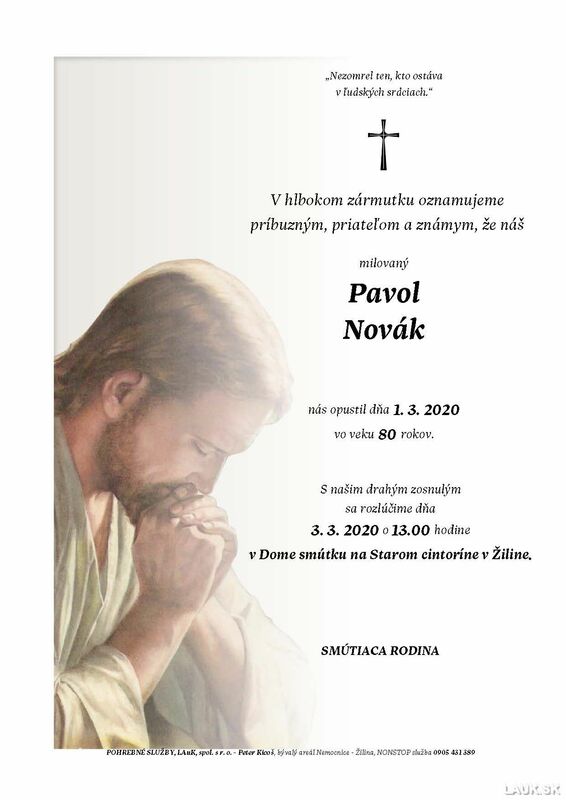 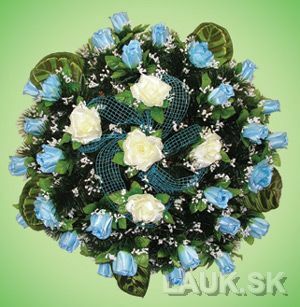 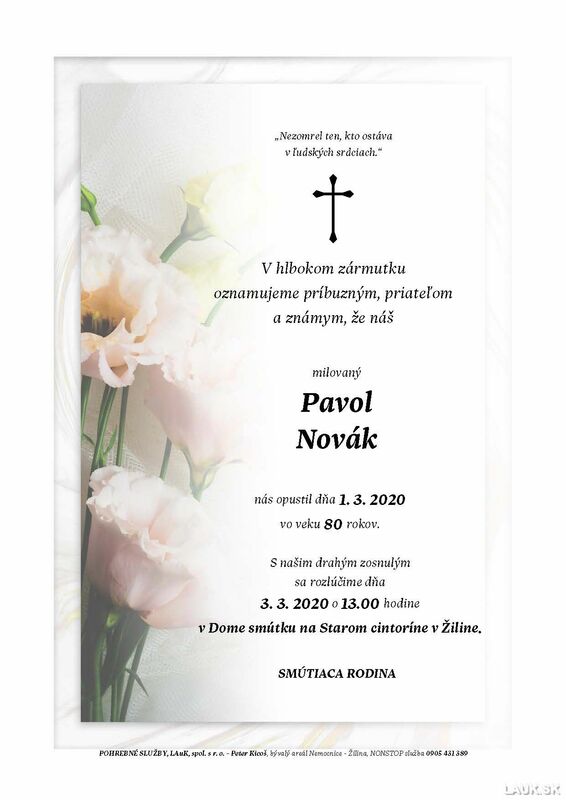 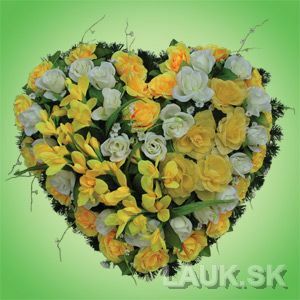 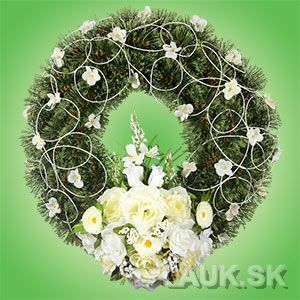 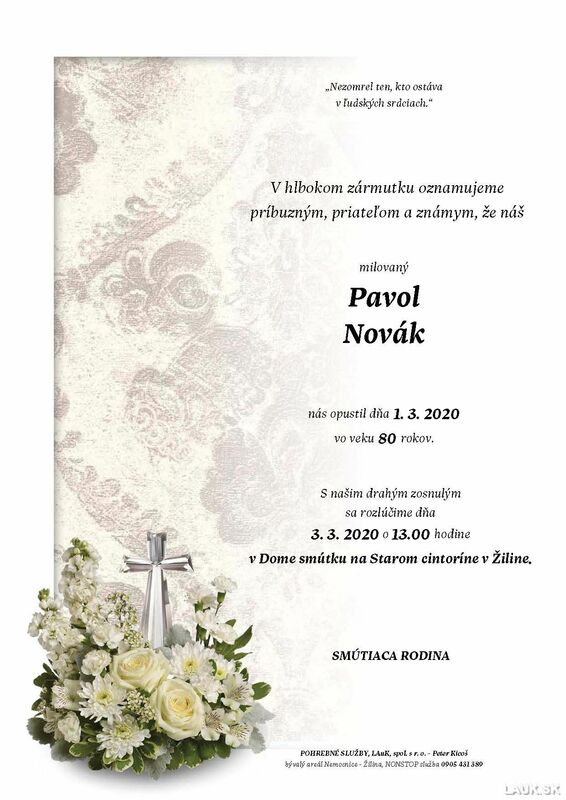 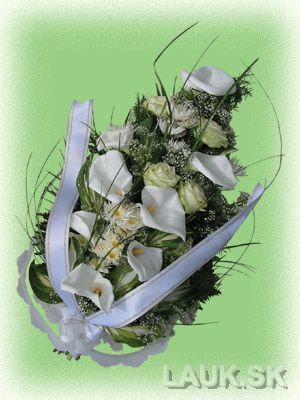 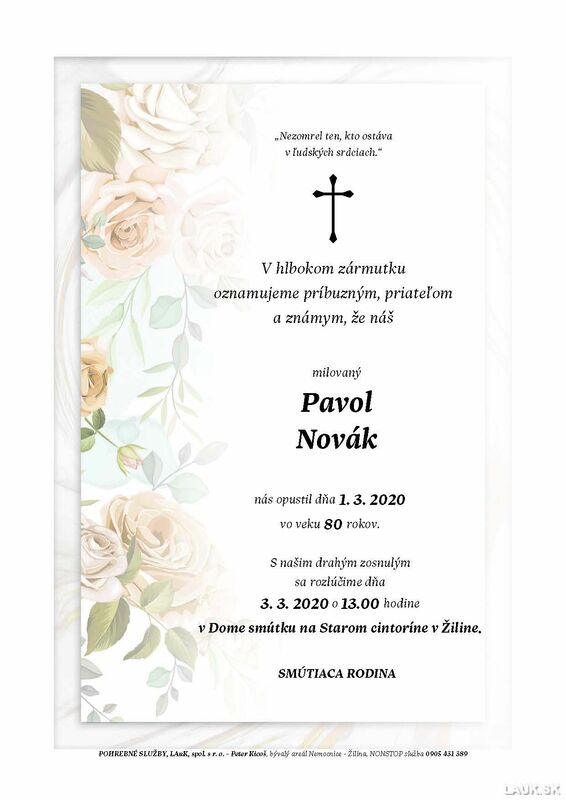 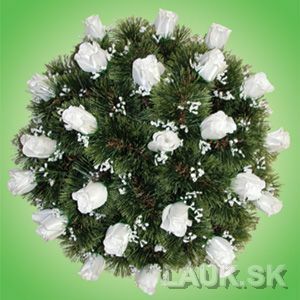 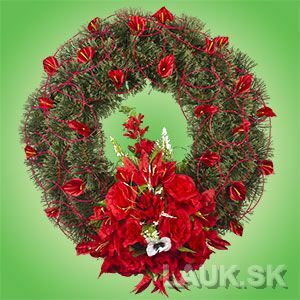 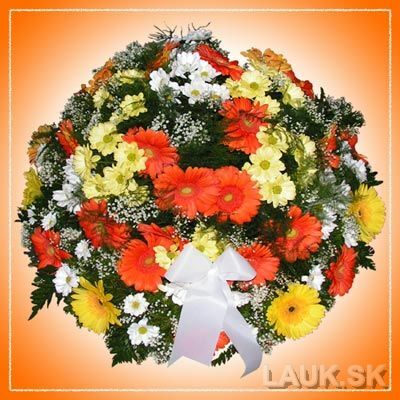 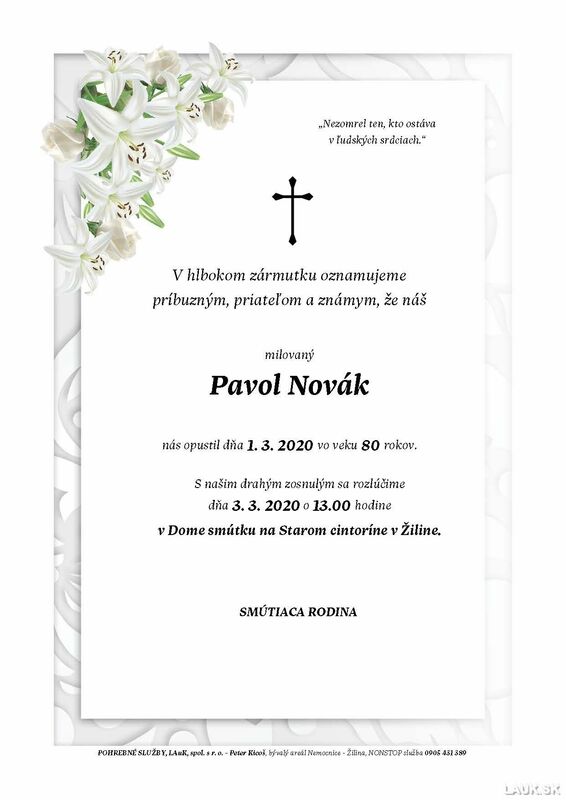 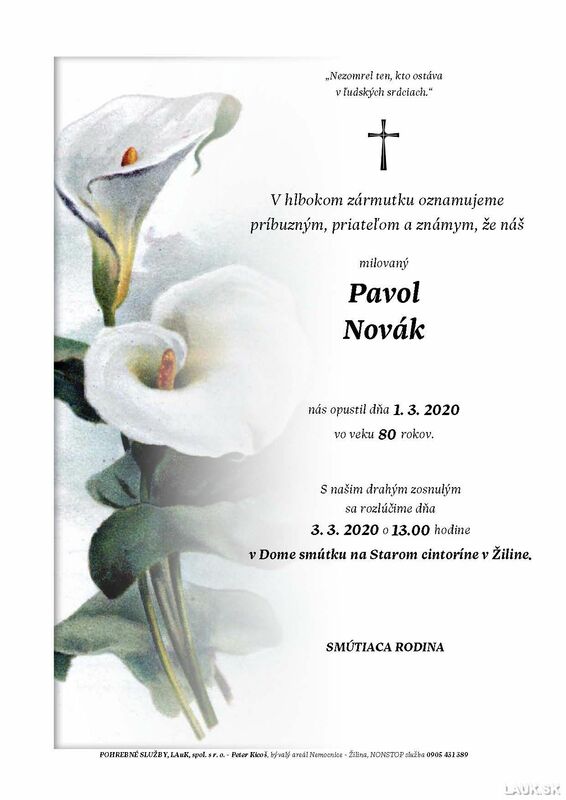 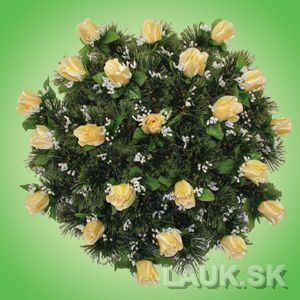 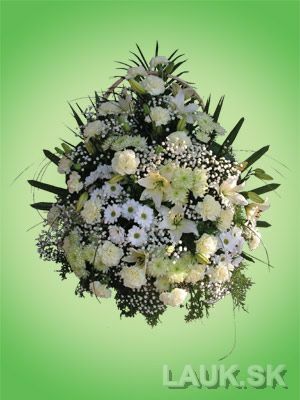 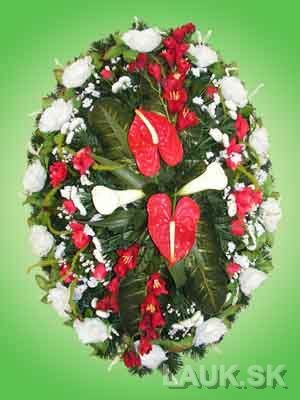 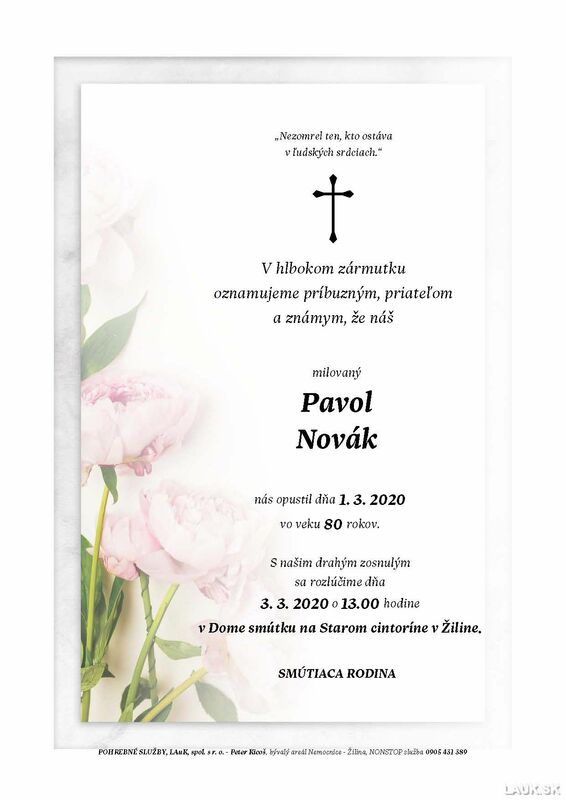 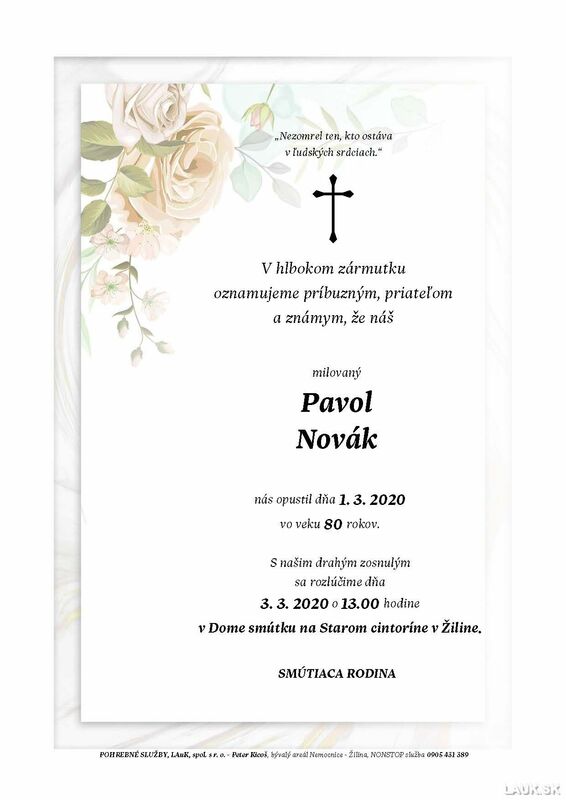 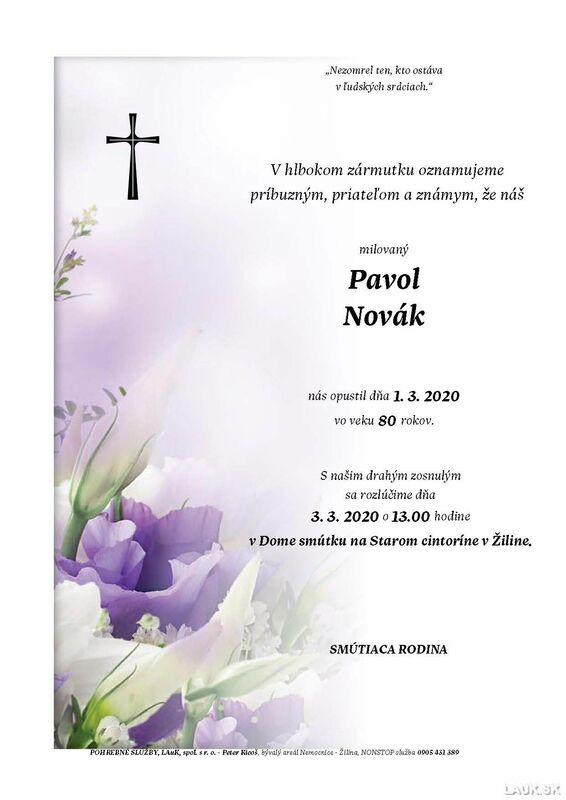 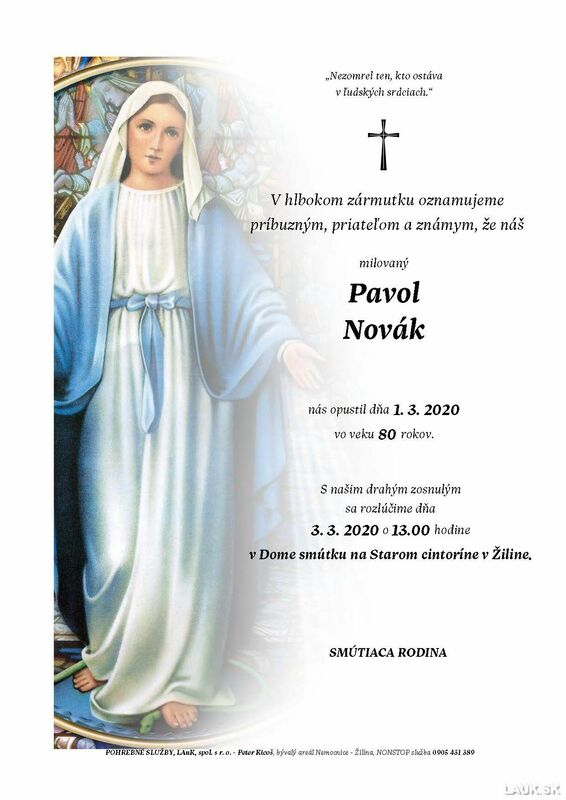 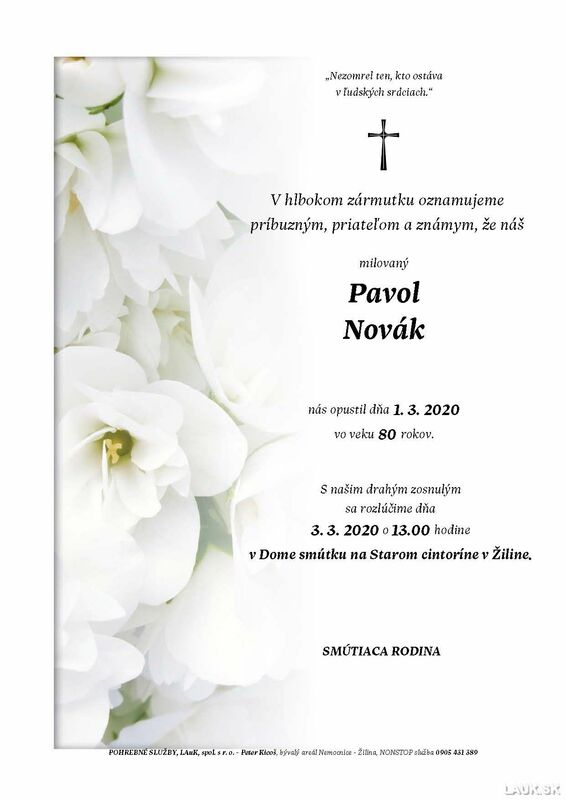 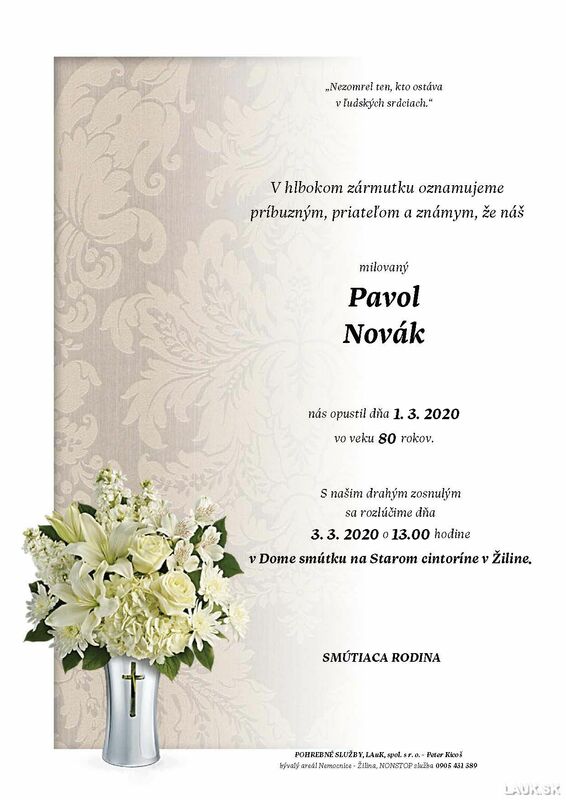 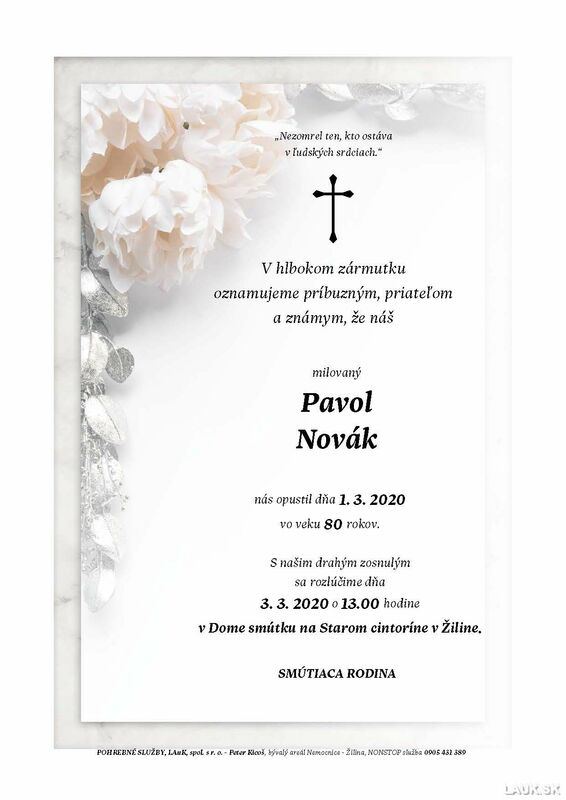 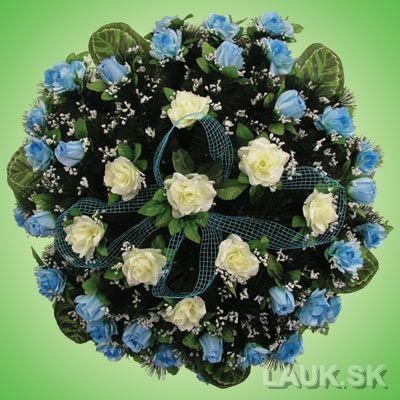 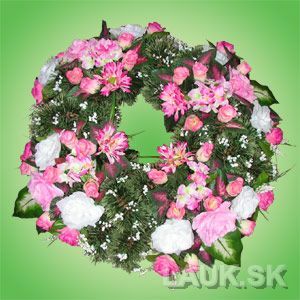 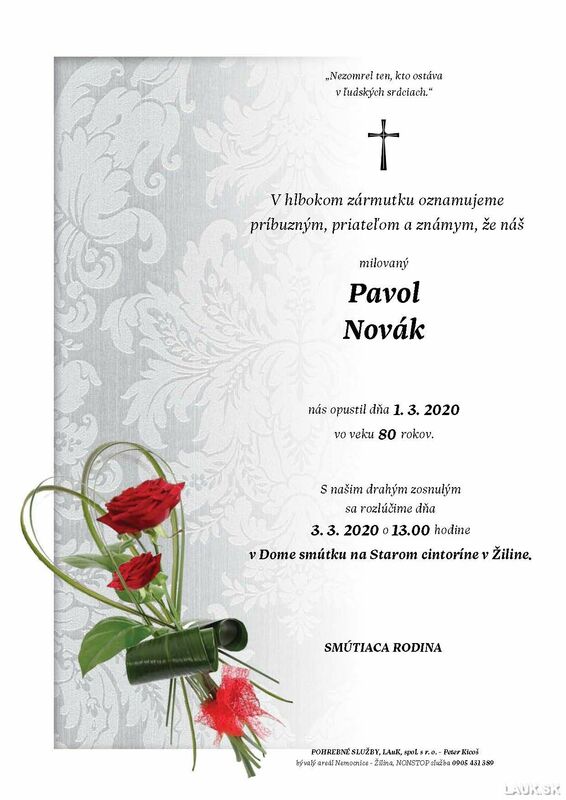 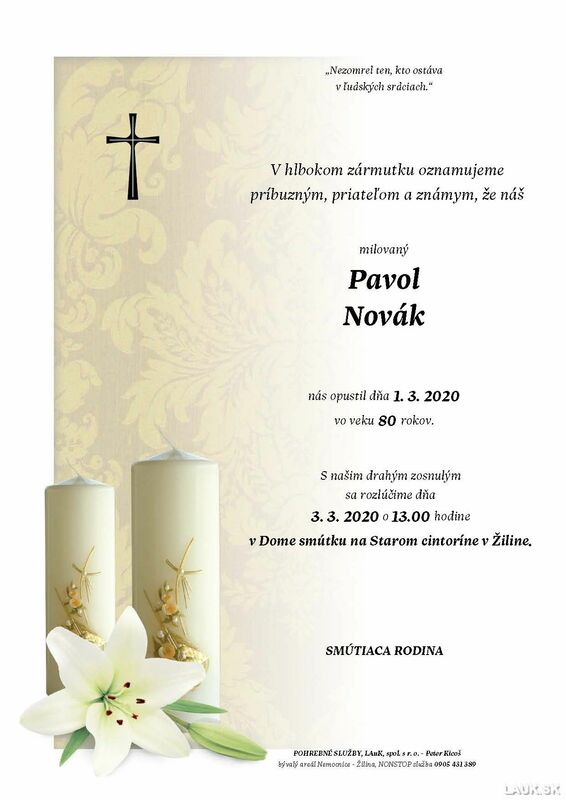 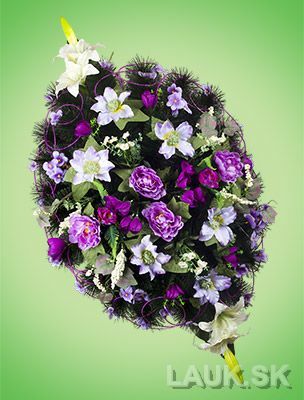 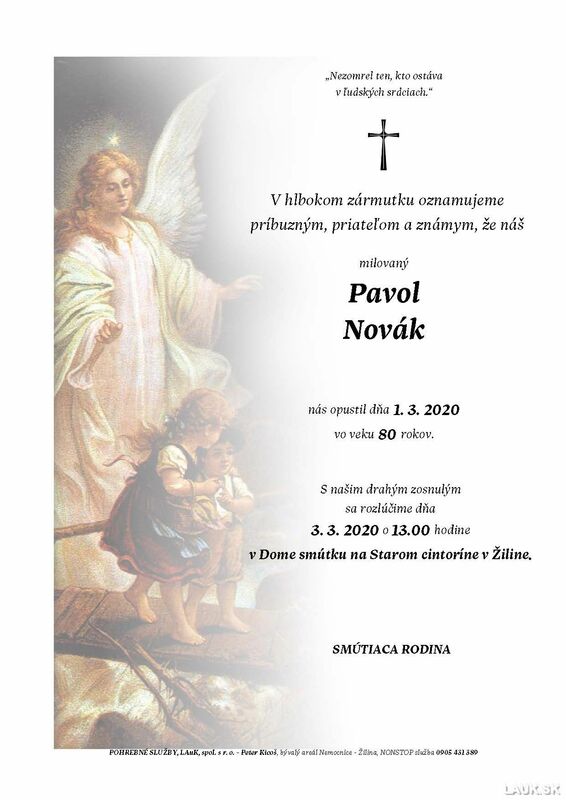 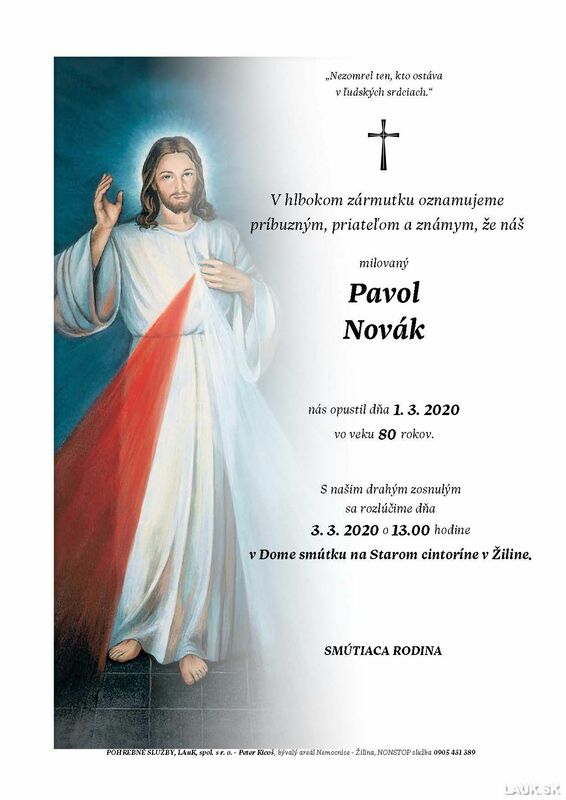 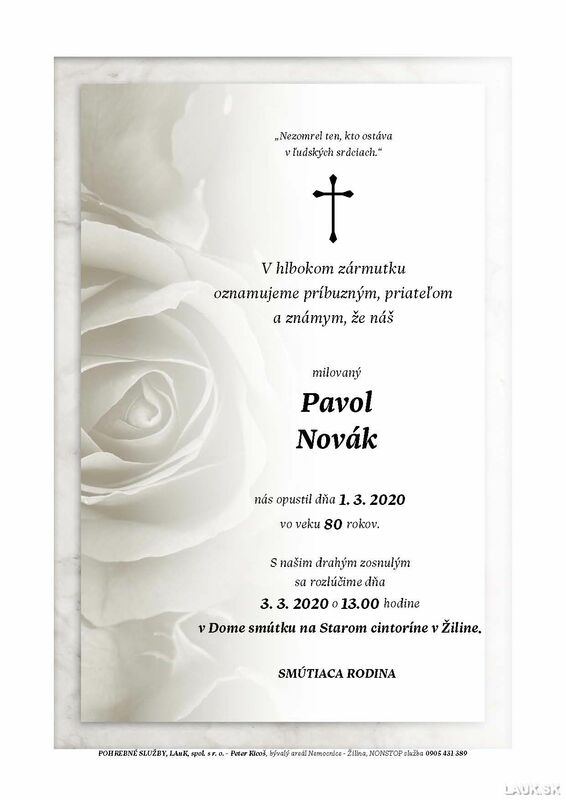 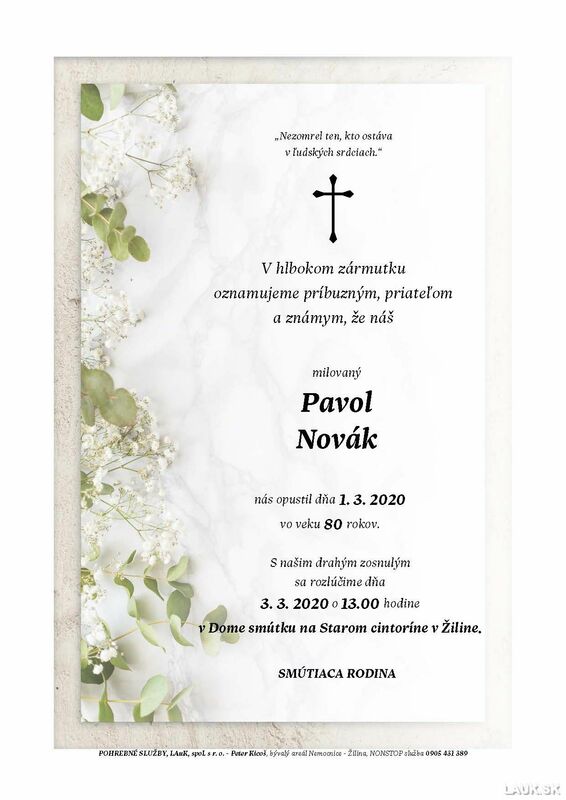 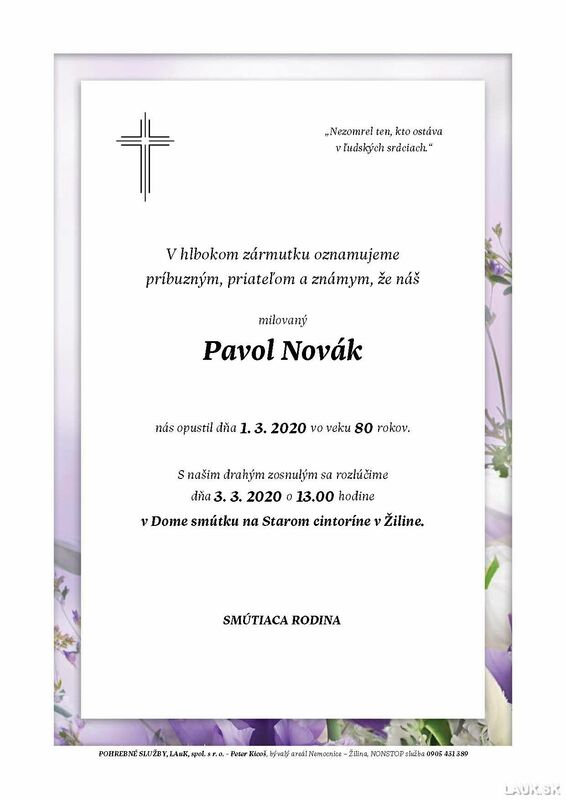 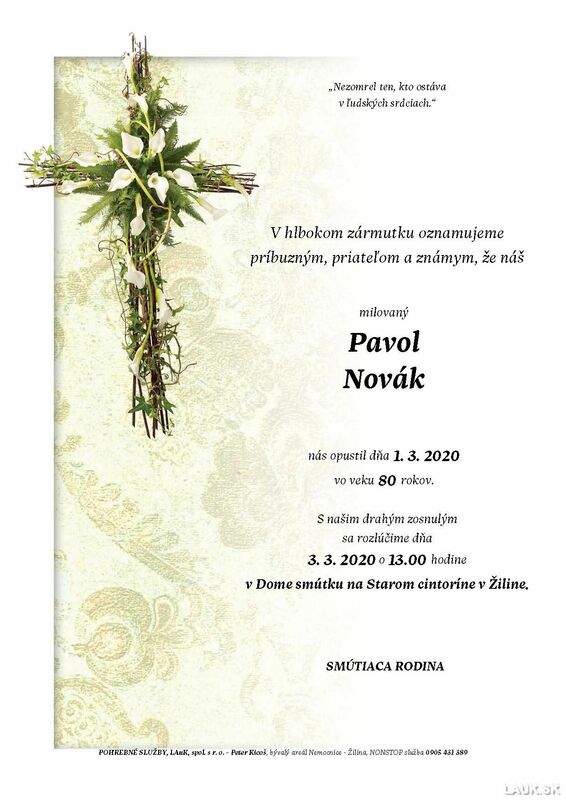 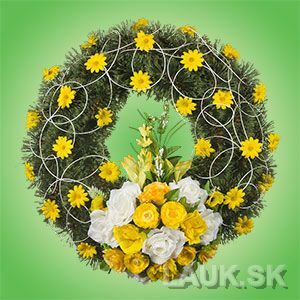 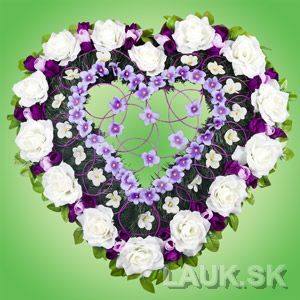 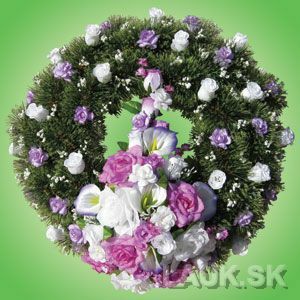 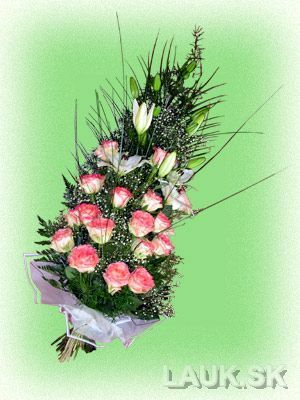 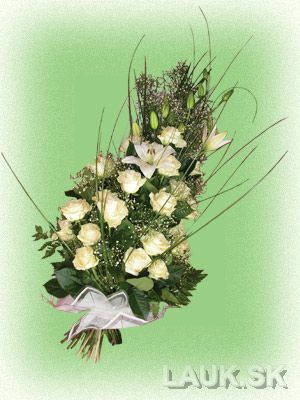 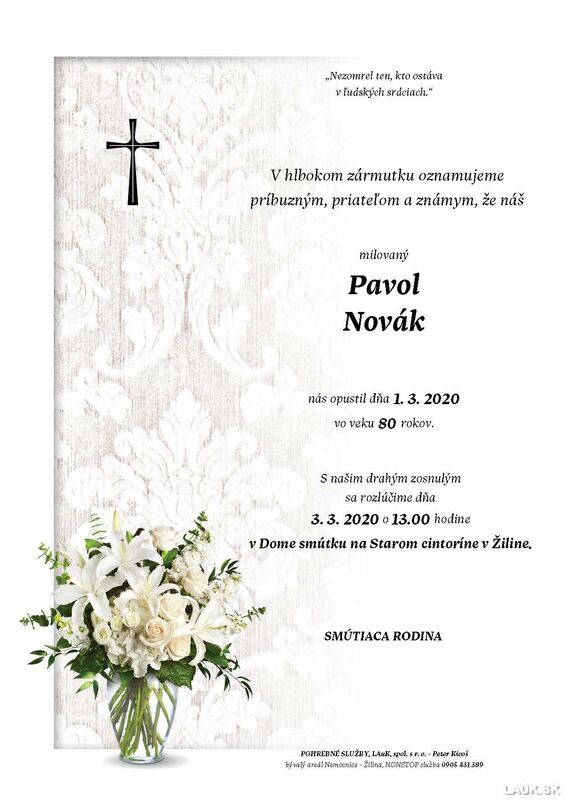 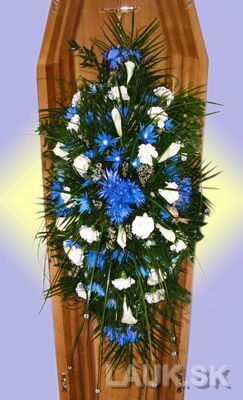 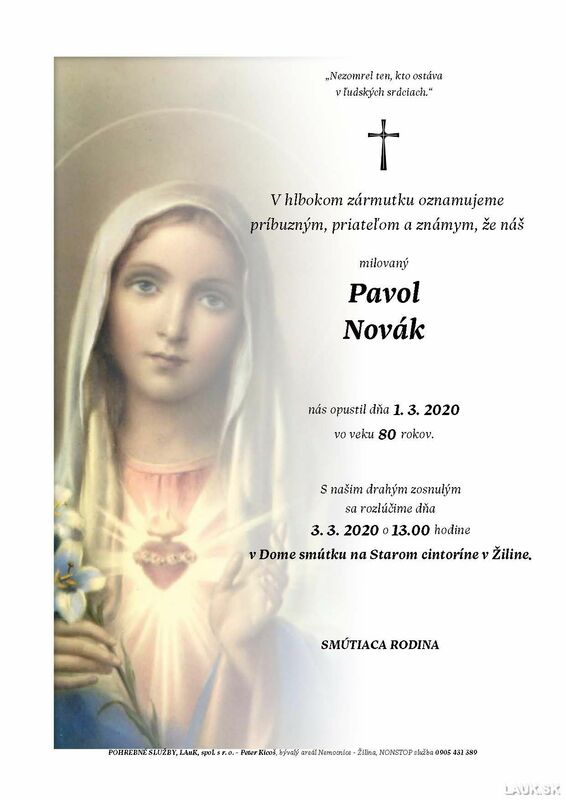 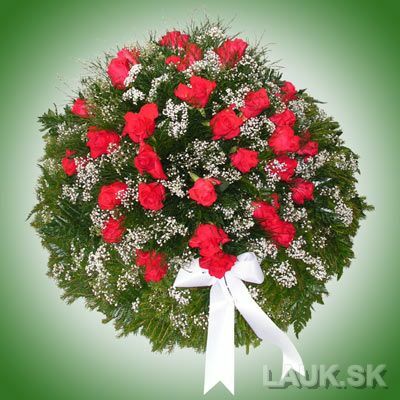 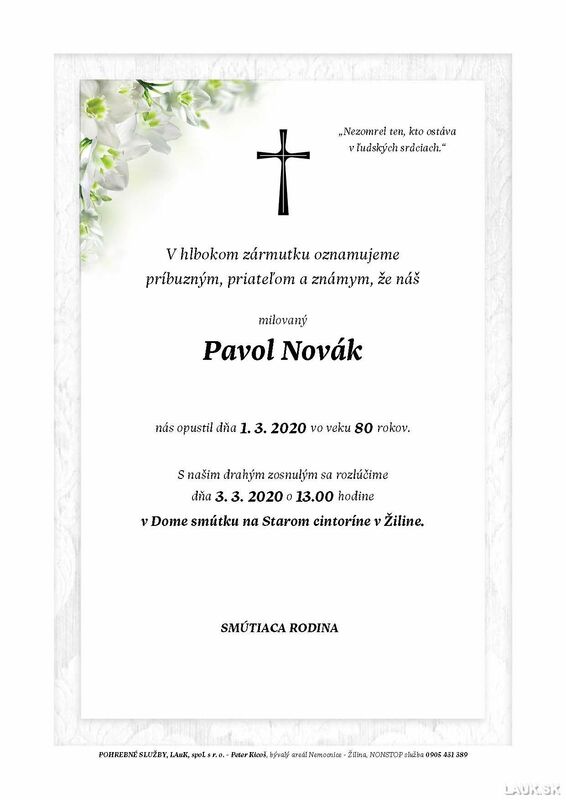 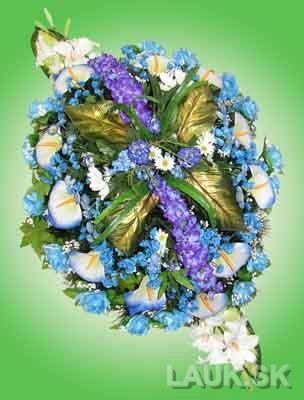 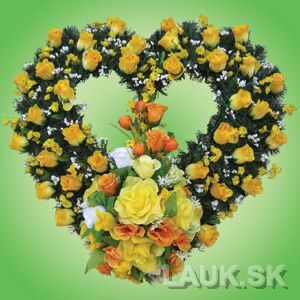 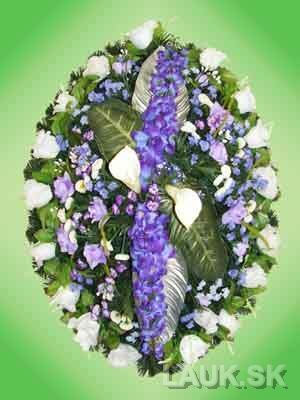 After selecting the date of the funeral, we can make an obituary notice from a wide range of colorful obituary notices, while you wait.